The Board announces that on 27 June 2014 it resolved to commit to a plan to reduce its stake in GCC, its 60%-owned subsidiary, to a level at which it would cease to hold a majority or controlling interest and to effect such reduction within one year of the resolution. GCC represented approximately 43% of the Company's total assets as of 31 December, 2013. The Board's decision has been made in light of current market conditions for the sale of coking coal and is consistent with the Company's development strategy. June 30 -- This announcement is made by Winsway Coking Coal Holdings Limited (HKEx:1733, the "Company") pursuant to Rule 13.09 of the Rules Governing the Listing of Securities on The Stock Exchange of Hong Kong Limited (the "Listing Rules") and the Inside Information Provisions (as deﬁ ned in the Listing Rules) under Part XIVA of the Securities and Futures Ordinance (Cap. 571 of the Laws of Hong Kong). The board of directors of the Company (the "Board") announces that on 27 June 2014 it resolved to commit to a plan to reduce its stake in Grande Cache Coal Corporation ("GCC"), a 60% owned subsidiary of the Company, to a level at which it would cease to hold a majority or controlling interest and to effect such reduction within one year of the resolution. GCC represented approximately 43% of the Company's total assets as of 31 December, 2013. The Board's decision has been made in light of current market conditions for the sale of coking coal and is consistent with the Company's development strategy as set out in the Company's 2013 Annual Report. The Company has engaged BNP Paribas as its ﬁnancial advisor to facilitate the GCC divestment exercise. The bidding process has begun and the Company is in negotiation with several potential buyers for either a partial or full divestment. The Company has also engaged an independent valuation ﬁ rm to perform an evaluation on GCC to determine its fair value and the valuation work is currently underway. The Company expects such transaction, if any, to be completed within one year. Such transaction, if any, to effect the reduction in the Company's stake in GCC would be made in full compliance with the Listing Rules and would also be subject to Canadian local regulatory and GCC lender's approval. GCC is engaged in the production and sale of coking coal and was acquired as to 60% by the Company and 40% by Marubeni Corporation in March 2012. During the Financial Year, we sold 15,300 tonnes of raw coking coal to our customers in Xinjiang, PRC. The low sales volume was due to our coal production halt. In respect of our operation technical issues, as disclosed previously, we need to improve our coal screening capability on-site to enhance our coal quality. For this purpose, we are installing a dry coal processing system on the Khushuut Coal Mine for on-site coal screening. In collaboration of this system, we are also building a coal washing plant in Xinjiang. The building of the dry processing plant has been completed which is currently under a test run. An application to the State Specialized Inspection Agency (SSIA) of Mongolia for commissioning approval of the dry processing plant was made and has been approved recently. In order to prepare for the coming operation of the dry processing plant, we had sent our technical staff to the PRC and undergone training during the Financial Year so as to get themselves familiar with the actual operating and maintenance techniques of the dry processing plant. We have recruited over 20 operators for the dry processing plant. The installation of the washing plant in Xinjiang is targeted to complete this early summer, and test run is scheduled to commence immediately following that. After rounds of talks and negotiations, we finally entered into a mining services agreement for overburden removal (the "Agreement") with a reputable contractor in Mongolia, Monnis Mining Equipment LLC ("Monnis" or the "Contractor"). The term of the Agreement is for a period of thirty six months. The Contractor is principally required to provide blasting, removal of topsoil and overburden, loading and haulage services on the Mine Site. It shall provide manpower and materials, machineries, camps, equipment, facilities, and fuel supply; construct blasting supplies magazine on the Mine Site; provide ancillary materials and resources for the provision of the overburden removal services. The service fee of the Contractor is based on the volume of the engineering works in bank cubic meters completed by the Contractor (drilling, blasting, loading, and hauling works). The overburden removal quantity could be adjusted by MoEnCo in response to the market conditions. Apart from Monnis, MoEnCo is seeking another contractor to perform coal extraction services. We used to have a customs bonded yard on the Khushuut Mine Site. It was staffed by the Mongolian customs officers for issuing export documents on-site for our coal products shipping to the PRC. As we have set up the dry processing plant at the Khushuut Mine Site, a new customs bonded yard in the proximity of the dry processing plant would facilitate export of our coking coal products. For this purpose we have built a new customs bonded yard nearby the dry processing plant. In March, the General Customs Office of Mongolia issued a permit to us for use of the new customs bonded yard. This will enhance our coming coal export process when our production resumes. As a result of our temporary halt of commercial coal production and the continued softening of the coking coal market conditions in the PRC, we did not actively market for new customers during the Financial Year. Seeing the coming resumption of commercial coal production this year, a stable environment with the support of the local government and community is very important. During the Financial Year, MoEnCo, an indirect wholly owned subsidiary, and the Khovd provincial government came to an agreement of co-operation (the "Co-operation Agreement"). The term of the Co-operation Agreement is three years and will expire in December 2016. The Co-operation Agreement is necessary in order to obtain support from the local community for ensuring a stable operating environment of our Khushuut Coal Mine. In return, MoEnCo is required to support its local and economic development. To support the local economic and social development, MoEnCo will, among others, allocate an agreed amount to the Khovd Khushuut Development Fund every year. The donations from this Fund will be dedicated to development projects and activities agreed by the parties under their supervision. Other key points are that MoEnCo will aim to recruit 70% of the total workforce for the Khushuut Project from Khovd Province, and to engage transportation companies registered in Khovd Province for coal transportation in preference to others. MoEnCo is also required to implement the Khovd village relocation plan upon approval by the Civil Representative Khural of the Province and the parties concerned. To support our sustainable mining development in the Khushuut Project, the Khovd Province shall ensure the conditions of no-disturbance and eliminate any illegal stoppages, provide support on issuance of necessary permits required for the Khushuut Coal Mine development, organize trainings for unemployed local citizens in collaboration with MoEnCo, and provide other necessary supports. Under the Minerals Act, the Parliament of Mongolia may declare a deposit as being strategically importance ("Strategic Deposit") upon the submission of a proposal by the government of Mongolia. The government of Mongolia has the power to submit a proposal to the Parliament to declare deposits as being strategically importance. On 30 May 2013, the Cabinet (government) of Mongolia made a decision to expand the list of Strategic Deposits under Resolution No. 27 which included our Khushuut Coal Mine and submitted the draft resolution to the Parliament of Mongolia for approval. According to the recent enquiry with our Mongolian legal adviser and its advice, we are pleased to note that our Khushuut Coal Mine has been removed from the proposed list of Strategic Deposits for consideration by the Mongolian Parliament. Under the Minerals Law of Mongolia (the "Minerals Law"), in order to maintain an exploration licence valid and effective, a holder of such licence has numerous obligations to fulfill. These include, among others, submission of annual exploration plans, exploration reports, environmental protection reports, and annual safety reviews. An exploration licence holder is required to spend minimum exploration expenses on its exploration licence. A holder of an exploration/mining licence is also required to pay annual licence fee to maintain its validity. Such obligations require a holder of licence to incur substantial administrative costs in organizing exploration and mining activities, and filing of the requisite planning and reports to the Mongolian authorities. Non-compliance of any of the requirements will not only lead to suspension or revocation of the licence, but also subject the holder to a fine. Apart from the Khushuut mining licences (operating licences of our Khushuut Coking Coal Project), we also have a number of other mining and exploration licences in Mongolia. These licences consist of eight exploration licences and three mining licences, and they are/were non-Khushuut related licences. After years of exploration and studies, these licences do not demonstrate economic coal/ metal resources to justify further development and maintenance. Pursuant to our prudent expenditure policy, and at the recommendation of our geologist, we have resolved to return these non-potential licences to the Mongolian government gradually this year. Up to the date of this announcement, seven licences have been returned to the Mongolian government. The giving up or return of these licences will not have any material impact on the Group's financial condition and results of operations. In addition, we have planned to dispose of our deposit in Bayan-Ugii which, according to our preliminary exploration, contains iron resources. 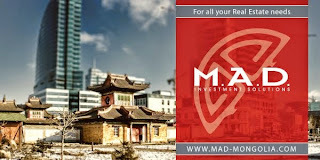 The Company has engaged an independent valuer to conduct a valuation on the recoverable amount of the deposit. In view of the market condition, we anticipate an impairment of value may arrive and will be reflected in next financial year. However, such impairment is non-cash in nature and will not affect our liquidity, cash flows nor have any impact on future operations. Please refer to the paragraph of "Exploration and Mining Concessions of the Group" in our annual report for further details. As previously reported, the Mongolian government adopted a number of legislation including the Law of Mongolia on the Regulation of Foreign Investment in Business Entities of Strategic Importance (the "Foreign Investment Law") and the Law of Mongolia on the Prohibition of Minerals Exploration and Mining in Headwater Areas, Protected Zones for Water Reserves and Forest Lands (the "MPL") which have the effect of shaking investors' confidence on investing in Mongolia. The Foreign Investment Law restricted the sale or transfer of major stakes in strategic sectors such as mining and finance industries unless prior approval from the Mongolian Parliament or government was obtained. The MPL prohibited mining and minerals exploration activities to be carried out in headwater areas, protected zones for water reserves and forest land, and the licences overlapping these areas may have the possibility of reducing size or being revoked by the Mongolian government. 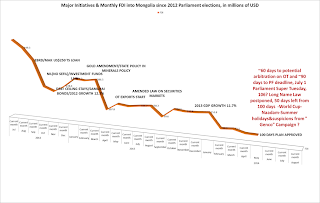 In order to restore the investors' confidence and provide incentives to invest in Mongolia, a special parliament session took place in September 2013 to discuss the reform of various legislation that have the effects of curbing the Mongolian economy. Such discussions included, among others, the replacement of the Foreign Investment Law which restricted the transfer of interest in the strategic sectors in Mongolia and some of the tax-favoured policies. 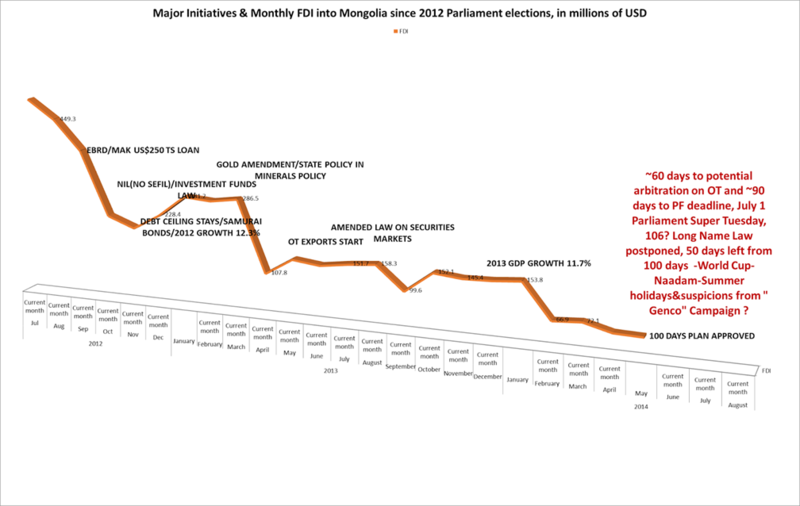 In January 2014, the Mongolian Parliament approved the State Policy on Minerals Sector. This Policy focuses on ensuring the principal interests of Mongolia by developing a transparent and responsible mining sector which relies upon the private sector, and aims to develop diversified and balanced economic structure in the short and medium term. Regarding the coal industry, the Policy emphasizes that the State shall provide support on the development of coal processing, coking and chemical plants; construction of power plants based on coal deposits; production of smokeless, liquid fuel and gas from thermal coal, and production of liquid fuels from shale oil. The mining rights represent the rights to conduct mining activities in the location of Nogoonnuur Soum and Tsengel Soum of Bayan-Ulgii Aimag in Mongolia, and have legal lives of 17 to 22 years, expiring in July 2031, March 2033, December 2035 and July 2036, respectively. The mining licenses are issued by Mineral Resources and Petroleum Authority of Mongolia and may be extended for two successive additional periods of 20 years each. In the opinion of the Directors, the application for extension is procedural and the Group should be able to renew its mining licenses at minimal charges, until all the proven and probable minerals have been mined. The Group has appointed a qualified mineral technical adviser to prepare a resource estimation. The Group has also engaged a Mongolian professional firm to review and update the feasibility study report and the environmental impact assessment report on the above tungsten mines. No active mining operation of the Group has taken place yet. The Group received a letter issued by a Mongolian Province Governor which required the Group to make submission on the timing of commencement of mining operations or otherwise certain mining licenses might be revoked. On 22 May 2013, the Group entered into a memorandum of understanding with China Metallurgical Geology Bureau of Shandong (the "Contractor"), pursuant to which the Group agreed to engage the Contractor to conduct mining activities, including development and exploitation of all of its Mongolian tungsten mines. Subsequently on 2 October 2013, the Group engaged Mongolia Zhenyuan Company Limited ("Mongolia Zhenyuan"), an associated company of the Contractor, to conduct mining area geological survey, tunnel investigation and sample collection. The Group and Mongolia Zhenyuan is still in the process of negotiation of the relevant mining terms and consideration for incorporation into a formal and legally binding cooperation agreement which, however, is not yet concluded and entered into up to the reporting date. Once the Group has reached an agreement with Mongolia Zhenyuan on all mining terms and consideration, the Group will commence exploitation of the mines. The Directors expect that the formal agreement will be entered into and the exploitation of the mines will take place no later than the end of 2016. On 21 August 2013, the Group was informed by its Mongolian legal advisers that certain state inspectors in Mongolia conducted inspection over the Group's tungsten mines and requested the Group to undertake backfilling and technical and biological reclamation of destroyed opencast mining sites area and have proper security fencing and guarding over the minerals deposits ("the Requests") by 15 September 2013. As advised by the Group's Mongolian legal advisers, failure to comply with the Requests may result in a fine of not more than MNT1,000,000 (equivalent to approximately US$593) for each of the Requests and there is also the risk of the Group's mining licenses being revoked in accordance with the applicable laws of Mongolia. In response to the Requests, on 6 September 2013, the Company remitted funds to its Mongolian subsidiaries to commence the rehabilitation and restoration work and has instructed its Mongolia legal advisers to communicate with the local government and state inspectors in that regard. The Directors believe that the Company has complied with the Requests in good time to avoid any fine or adverse consequences. With reference to the opinion from the Group's Mongolian legal advisers dated 27 June 2014, the Directors are of the opinion that the Group is in compliance with all laws and governmental rules and regulations in Mongolia and the Group's mining rights are still in effect and in good standing as at the reporting date. At the reporting date, the Directors re-assessed the recoverable amount of the mining rights by using fair value less costs of disposal, which is derived by using discounted cash flow analysis. The discounted cash flow analysis has incorporated assumptions that a typical market participant would use in estimating the fair value of the mining rights. The discounted cash flow analysis uses cash flow projection for a period of 3 to 7 years and the discount rates applied to the cash flow projection are 22%-24%. In determining the discount rates, the weighted average cost of capital was used, which is determined with reference to the industry capital structure of market comparables with mining projects, and have taken into account the specific risks encountered by the mining rights. Other key assumptions adopted include estimated selling price, industry average gross margin, estimated mine reserve based on technical assessment reports and the expectation for market development. With reference to the assessment, the Directors are of the view that no impairment in respect of the mining rights was identified for the year ended 31 March 2014. SMI LLC ("SMI", a wholly-owned subsidiary of the Company) has received a letter from the Minerals Authority of Mongolia (the "Letter") informing SMI that the mining license number MV-011985 for mining in Saikan Uul (the "License") held by SMI had been revoked. The License was revoked initially on 22nd September 2008 because the relevant annual license fee was paid on 17th September 2008, a few days after the due date of 5th September 2008. However, the License was subsequently restored by an order of the then director of Minerals Authority on 13th November 2008 (the "Restoration Order"). SMI has paid the relevant annual license fee in a timely manner since 2008. The Letter states that the Restoration Order has been invalidated and that the initial decision to revoke the License has been restored. The Company disputes the revocation of the License and has submitted a formal request to the Office of Government Cabinet of Mongolia and Ministry of Mining of Mongolia and filed an appeal to the court to cancel the decision to revoke the License (the "Appeal"). Up to the date of approval of these consolidated financial statements, no final decision about the Appeal has been received by the Group. After seeking the professional legal advice, as the ultimate outcome of the Appeal cannot presently be estimated, the full impairment loss on the exploration and evaluation asset of approximately HK$115 million was recognised during the year. However, if the Appeal is finally successful for and the revocation order is subsequently cancelled, the impairment of exploration and evaluation assets may be reversed in a subsequent period. With regards to the Mongolia Iron Mine ("Mongolia Mine") business, the latest Mongolian Government's environmental law is still an issue which the Group's management is continually trying to clarify and resolve; therefore the operating activities of the Mongolia Mine continued to be suspended in order to minimize the expenses being incurred. June 27 -- Origo Partners Plc ("Origo" or the "Company") announces that it yesterday posted its 2013 Annual Report and Accounts to shareholders together with a Notice of Annual General Meeting. The Annual General Meeting of the Company will be held at 33-37 Athol Street, Douglas, Isle of Man, IM1 1LB at 1:00pm on 8 August 2014. Ulaanbaatar, June 27 /MONTSAME/ At the Stock Exchange trades held Friday, a total of 32 thousand and 637 shares of 18 JSCs were traded costing MNT 74 million 196 thousand and 669.00. "Khot Development" /13 thousand and 162 units/, "APU" /5,535 units/, "Makh impex" /5,032 units/, "Hai Bi Oil" /5,003 units/ and "E-trans logistics" /4,500 units/ were the most actively traded in terms of trading volume, in terms of trading value--"Suu" (MNT 29 million and 920 thousand), "APU" (MNT 19 million and 926 thousand), "Makh impex" (MNT 15 million 090 thousand and 710), "Baganuur" (MNT three million and 500 thousand) and "Hai Bi Oil" (MNT one million 726 thousand and 121). The total market capitalization was set at MNT one trillion 567 billion 280 million 980 thousand and 749. The Index of Top-20 JSCs was 15,398.32, increasing by MNT 71.03 or 0.46% against the previous day. 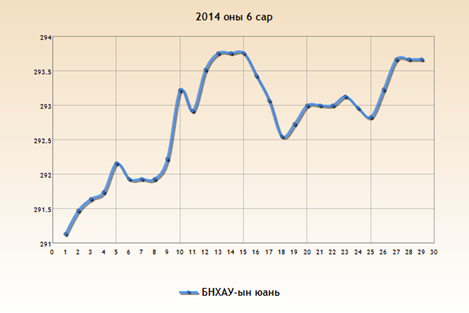 Ulaanbaatar, June 29 /MONTSAME/ Five stock trades were held at Mongolia's Stock Exchange June 23-27, 2014. In overall, 765 thousand and 095 shares were sold of 43 joint-stock companies totaling MNT 394 million 358 thousand and 502.32. "State Department Store" /391 thousand and 534 units/, "Silikat" /246 thousand and 121 units/, "Merex" /46 thousand and 408 units/, "Hermes center" /15 thousand and 986 units/ and "E-trans logistics" /15 thousand and 245 units/ were the most actively traded in terms of trading volume, in terms of trading value--"State Department Store" (MNT 227 million 081 thousand and 140), "Silikat" (MNT 55 million 377 thousand and 225), "Suu" /MNT 36 million and 486 thousand/, "APU" /MNT 20 million and 160 thousand/ and "Makh impex" (MNT 15 million 626 thousand and 780). June 6 (BDSec) Today, Mr.Angar.D, a newly appointed CEO of Mongolian Stock Exchange, visited an online trading floor of BDSec JSC along with the stock exchange representatives and made a discussion with a Deputy director Mr. Batgerel.N regarding current market situations. June 27 (Bloomberg) -- Mongolia's current account deficit for the first 5 months of 2014 was $580.5m vs $1.3b for the same period last year, the nation's central bank says in statement on website. June 27 (Bank of Mongolia) On 23rd of June 2014, Financial Stability Council (FSC) has held its regular session meeting. Through the meeting, the FSC discussed: (i) FRC proposal on opportunities to directly include NBFI's for inter-bank FX transactions and CBB transactions with the BoM, (ii) Mongolia's sovereign rating and the analysis of its driving factors, (iii) an update on Mongolia's external sector and the domestic foreign exchange market, and (iv) formats of the decisions made by Financial Stability Council. June 27 (infomongolia.com) On June 27, 2014, the Speaker of the State Great Khural (Parliament) Zandaakhuu ENKHBOLD received in his office the International Monetary Fund (IMF) Deputy Managing Director Mr. Naoyuki Shinohara, Deputy Director of Asia and Pacific Department at IMS, Mr. Markus Rodlauer and other accompanying delegates. At the beginning of meeting, Speaker Z.Enkhbold emphasized that the supreme legal body, the Parliament of Mongolia is focusing to amend some laws and regulations that aim to create favorable environment regarding the Government's 100 Days Action Plan. During the meeting, IMF Deputy Managing Director N.Shinohara warned that in order to overcome the short-term economic challenges facing the economy, Mongolia should need to tighten its expansionary monetary and fiscal policies. He also added some measures should be taken such as to reduce money supply and total amount of loans in terms of raising interest rates of monetary policy, which were carried out during 2009 economic crisis faced Mongolia as well as the global economy. However, monetary policy alone cannot overcome this problem in short period, thus the monetary policy should be supported by fiscal policy, in particular, a non-budgetary investment is increasing the total supply of credit that directly impacts on the budget expansion. IMF Deputy Managing Director also mentioned that the role of Development Bank of Mongolia is great, but needs to be monitored and it is required to include in the state budget the foreign loans and supplies accounted in the Bank. Moreover, Mongolia immediately should reduce budget expenditure to overcome short-term problems. In turn, Speaker Z.Enkhbold responded expressing his gratitude for evaluating the actual conditions and said if the country to increase its interest policy rate it would affect weightily to individuals and entities that would follow-up with bank loan declining and in order not to collide the economy entirely, the Parliament, Government and other affiliated organs will consider on issues forwarded. Afterwards, IMF Deputy Managing Director Naoyuki Shinohara once reminded that if the monetary policy interest rate is not increased at policy level, Mongolia is likely to face economic crisis. Mongolia's current monetary policy interest rate is at 10.5% announced by Central Bank and is followed since June 24, 2013. "I would like to thank the Mongolian authorities for their gracious hospitality and for the productive discussions that we have had over the past three days. In particular, I wish to thank Speaker of the State Great Hural Z. Enkhbold, Prime Minister N. Altankhuyag, Minister of the Cabinet Office Ch. 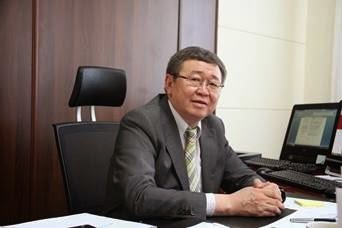 Saikhanbileg, Minister of Finance Ch. Ulaan, Minister of Economic Development N. Batbayar, and Bank of Mongolia Governor N. Zoljargal, for their warm welcome and frank exchange of views. "In my meetings, I commended the authorities for their ambitious growth and development objectives. Mongolia has a magnificent history and certainly has a promising future, given its industrious and talented people, abundant natural resources, and strategic location. "Our discussions focused on how best to meet the challenges that Mongolia faces as it strive to realize its great potential. In recent years, Mongolia has been one of the world's fastest-growing economies, vaulting into the ranks of middle-income countries in just a few years. This growth was earlier driven by large investments in the mining sector, spearheaded by substantial foreign direct investment. But as these have dropped, growth has been held up increasingly by fiscal and monetary stimulus. This has led to growing balance of payments pressures, the depreciation of the togrog, and higher inflation. "I highlighted the importance of tightening macroeconomic policies to combat these pressures. Monetary policy needs to be tightened, since—as in other countries—excessive credit growth has contributed to strong imports. Moreover, the budget should include all fiscal activity, including the spending by the Development Bank, and the consolidated deficit should be brought down steadily toward the target laid out in the Fiscal Stability Law. We also discussed the importance of strengthening bank supervision and the need to maintain Mongolia's flexible exchange rate system. While such measures might entail a somewhat slower growth path in the near term, they are critical to safeguarding domestic and external stability, and making growth—still rapid by international comparison—more sustainable. "On a brief trip like this, it is usually difficult to see much of a country. I am thus particularly grateful to the authorities for arranging my visit to one of Ulaanbaatar's "ger districts," where I observed important work being done to improve living standards, and also for taking me outside the city to appreciate Mongolia's stunning natural beauty and rich traditions. Back in the capital, I also had the opportunity to share views with leading bankers and businessmen on economic developments and the outlook for Mongolia and the world. "The IMF will continue to work closely with the Mongolian authorities and, as always, will stand ready to assist in whatever manner is most appropriate. Once again, I would like to thank the authorities and the people of Mongolia for their warm hospitality, and I look forward to continuing our cooperation." In the agenda it can observed that bills will follow usual processes of going through stages of whether to debate, initial and final readings though standing committees in expedited manner. Earlier, DP majority leader has admitted in TV interview broadcasted today that all major initiatives are "stuck"
 http://open.parliament.mn/content/4469.htm "УИХ-ын шинэ долоо хоногийн үйл ажиллагааны хуваарь /2014.06.30-07.01/"
June 27 (UB Post) Shortly after the public fury that forced law makers to retract the newly proposed Land Law had just begun to fade, the talk by law makers of building Chinese-standard narrow gauge railroad from Tavan Tolgoi coal mine to the Chinese border has rebounded in public protest. Social media and the press are in a frenzy, with anger clogging up Facebook groups and Twitter feeds such as the nationalist Dayar Mongol (DM) Facebook group. "I hope the [Chinese standard] gauge bill is dropped today in Parliament. We see the members who are pressing their buttons while the public is clearly against it. Although they say that the masses are brainwashed, I want to say that we are different," said one DM post with dozens of comments and likes. Currently, all of Mongolia's railway infrastructure is built with Soviet standard, broad gauge railways. The narrow gauge proposed by Parliamentarians is the international standard and used in China, which makes it convenient for transporting coal to China from Tavan Tolgoi mine. While it was noted by experts that building a narrow gauge railway would save money and make coal shipments simpler than a broad gauge railway, other experts pointed out that the narrow gauge cannot be connected to Sainshand soum, where trillions of MNT worth of industrial projects are expected to unfold, as it uses broad gauge rails. The amount of anger and frustration expressed by the public on social media has been attributed largely to nationalist political views and Sinophobia, anti-Chinese sentiment. It is also worth noting that the public has just experienced a huge wave of uproar at the Land Law, and that the wave has not yet subsided, which makes it seem as though the reaction towards the narrow gauge bill is disproportionate. The Land Law, which was retracted by the Prime Minister last week, allegedly contained clauses that would make it possible for foreign citizens to purchase and own land, which was met with widespread anger from the public at large. Individuals, organizations, media, outspoken nationalists and patriots rallied people on social media to stand against the law and urged their representatives to retract it from Parliament. Some politicians reported that they received appeals and threats from voters through their social media outlets and by phone, demanding retraction of the bill. Various media, including Mongol TV, reported that if passed, the law would allow foreign citizens and organizations who have been in Mongolia for over six months to own land for 60-100 years, which triggered mass concern over national security and deep-rooted Sinophobia among Mongolians. Mongolia's history and culture teaches reverence and the cherishing of one's land, and with a relatively small population of three million, Mongolians believe that foreign ownership of land is a serious national security issue. Before retracting the law due to overwhelming negative reactions from the public, in defense of the law it proposed, the Democratic Party faction in Parliament said that wrongful representation was made to the public about the law, and that no clauses allowing foreign ownership were included. They claimed that legal terms such as land use, acquisition and ownership were misused to give a misleading representation of the law. It is safe to say that the retraction of the bill was caused by public uproar. The public has demonstrated its power, but it also needs to consider that building a railway to China is of critical importance. It will help boost production and exportation in Mongolia, which in turn will help out the economy. The public must not abandon reason because of preconceived notions, and consider the facts before condemning decisions that could be vital to Mongolia's future. June 27 (UB Post) The parliament is discussing a draft resolution submitted by the government about some measures to include in railway policy implementation. According to the resolution, new 1,435 mm narrow gauge track will be laid for routes from Tavantolgoi to Gashuunsukhait, Sainshand to Zamiin-Uud, and Khoot to Bichigt, and new 1,520 mm broad gauge track for routes from Arts Suuri to Erdenet, the Tavantolgoi-Sainshand-Baruun-Urt – Khoot-Choibalsan route, and from Khoot to Nomrog. This became a big issue on social media. The dispute about using mixed track gauges has continued for around six years. Despite the general resolution to include broad gauge track in the railway policy, the government made an amendment specifying that the government must present the parliament with a proposal to change the width of gauges on railway routes from mineral processing plants to border points. A coalition government of the DP and MPP was established from 2008 to 2012. The broad gauge decision was one of the biggest joint decisions they made. When the policy was first approved, a 1,100 km track from Tavantolgoi to Choibalsan was to be built, for starters, followed by a 45.5 km track from Nariin Sukhait mine to Shiveekh uren border point, 267 km track from Ukhaakhudag to Gashuunsukhait border point, 380 km track for the Khoot-Tamsagbulag-Numrug route, and a 200 km track from Khuut to Bichigt. The boast to build the first 1,100 km track within two years became an empty promise. As a result of the constant disagreement over the last six years, they haven't built even one meter of track. They're planning to finish the 267 km track from Ukhaakhudag to Gashuunsukhait this year, and the technical blueprints for the Tavantolgoi-Sainshand-Khuut-Choibalsan-Ereentsav route and Khoot to Bichigt route are at 85 percent completion. This is how our railway projects are progressing. Mongolian viewers watched a television program where the Former Minister of Roads, Transportation, Construction and Urban Development, Kh.Battulga, and other industry representatives explained why narrow gauges are safer and more beneficial. The televised discussion lasted for several days. Viewers mainly got the message that Mongolia would be taken over by China if a railway track with narrow gauge was built in the south. It's reported that the majority of the public took this poorly, as independence is the most valuable aspect of a country. Also, it triggered nationalists and started a huge commotion among the people. The show gave people the impression that narrow gauge threatens national security. Some people think it's naive to think that Chinese people will come flooding in to Mongolia and take over the country as soon as the railway is erected. Contrarily, the public commotion may threaten national security instead of the railway issue. The main market for Mongolian coal exportation is China. The government calculated that Mongolia will save on transshipment facility costs and profit if a narrow gauge for direct coal exportation to China from mines is built. Also, narrow gauge is consistent with international standards, meaning that Mongolia can utilize it to connect with other countries. As soon as the TV show aired and began debate among the people, the government issued a statement saying, "We're officially announcing that we're taking decisive measures to address law enforcement agencies regarding this matter, since this show had content that may harm Mongolia's relations with our two neighboring countries, economic independence, and the national security of Mongolia." The government submitted a draft resolution within the frameworks of the policy approved by the parliament. Despite all the criticism it brought, the draft resolution was still included in the policy. If Mongolia didn't have the tradition of public dispute surrounding gauge issues for the last six years, we would've already built the railway and seen its economic benefits. Therefore, some people are supporting the idea to stop the dispute and start encouraging the implementation of the railway policy approved by the parliament in 2010. It's time to persuade people to execute domestic projects and stop the provocation. Neither an individual nor a political party's interest is more valuable than the prosperity of the country. It's prudent to pay more attention to providing more opportunities for the government to work and improve security. June 27 (UB Post) During the irregular governmental meeting on Wednesday, approval was given to the Development Bank of Mongolia's Board of Directors to establish a 75 million USD contract with Vnesheconombank of Russia, the Bank of Foreign Economic Activity, in order to re-finance capital demanded for installing and buying a 100 Megawatt turbine generator to improve the capacity of Thermal Power Plant No. 4. Vnesheconombank has requested to adjust the financing terms granted to the Development Bank of Mongolia with the term stated in the contract, "Financing project and managing pay back". If the term of pay back stated in the contract and Governmental resolution No. 99 of 2012 is extended, financing can be granted from five to eight years correlating to the term in the contract. Therefore, the opportunity has been created to receive long-term financing under conditions to be paid back in 2022, amending the contract and extending the loan term. The capital required for improving the capacity of Thermal Power Plant No. 4 is being granted through the Development Bank of Mongolia, in compliance with the contract "Financing project and managing pay back" and other relevant construction and installation contracts and agreements. So far, financing of 48.5 million USD has been issued to the project. Also, approval has been granted to the Board of Development Bank of Mongolia to make relevant agreements, and it has allowed banks and financial organizations to open loan lines equivalent to up to 10 percent of their own capital in order to raise financing sources for equipment and facilities required for implementing projects within the program to promote exports. In accordance with an order of the Government of Mongolia, a total of 1,151 projects were received for the program to select industrial projects to replace imports and improve exports. Some 599 projects which require financing of less than two billion MNT have been transferred to the Fund to Develop SMEs at the Labor Ministry. It has been left to the authority of the Development Bank to provide for the 286 projects that require financing of more than two billion MNT. Some 161 of these 286 projects are planning to import facilities and equipment valued at 2.43 trillion MNT from overseas, and the Development Bank of Mongolia is to cooperate with ExIm banks of the United States, South Korea, China, Turkey, Japan, Russia and Italy. Working with the relevant local professional organizations, the Ministry of Construction and Urban Planning has developed general planning and infrastructure sketches for 16 soums which will undergo renovations. With the implementation of the project, the 65 thousand residents of these 16 soums will be supplied with fresh drinking water and sewage systems, and conditions will be created to live and work in a pleasant environment connected to a central heating system. June 27 (UB Post) Yesterday, APU LLC opened a new milk factory capable of producing 45 million liters of product annually. This becomes the ninth project the company has implemented in the past six years. Equipment and facilities from renowned companies from eight countries, such as GEA Group of Germany, are installed in the factory capable of fully supplying Mongolian milk and milk product demands. The factory is built in conformity with European Union milk plant standards. During the opening ceremony of the factory, Minister of Industry and Agriculture Sh.Tuvdendorj said, "Milk is a sacred symbol. Private enterprise has made a huge investment, and as a result, Mongolia – which has 50 million livestock – is becoming capable of processing its raw milk by itself and delivering fine products to its citizens. This will also support herders." The Chief Executive Officer of APU, Ts.Erdenebileg, said, "With 90 years of experience, APU is Mongolia's oldest beverage manufacturer. Research for the project began in 2011. Construction of the factory began last year and was completed within a year. The project became a comprehensive project that successfully contributed to improving the collaboration of milk production, milk product transportation, logistics, producers, farmers and herders. Consumers now can buy milk products that are produced in conformity with the latest standards and meet food safety standards." Approaching its 90th anniversary, APU invested 46 billion MNT in its new milk factory and created about 100 jobs. The company established 12 milk accumulation points throughout Tov aimag, and will buy 60-80 tons of milk from farmers and herders daily, and will manufacture 21 types of milk products. Currently, the company is manufacturing its Maamuu and Sain brand products with Sweden's innovative packaging solution, Ecolean. The package is resistant to odor, light and is lightweight. Ulaanbaatar, June 27 (MONTSAME) Ulaanbaatar Energy Chapter Forum discussed Thursday issues regarding developing a renewable energy across Gobitec and Asian Super Grid in Northeast Asia. Opening the event, co-organized by Energy Charter Secretariat and Mongolia's Energy Ministry, the President of Mongolia Ts.Elbegdorj, Energy Minister M.Sonompil, and Energy Charter Secretary-General Urban Rusnak addressed the gathered including representatives of China, Russia, Japan and South Korea. Amid the forum, panels were held under themes such as 'Why and how to attract large scale investments in wind and solar projects in the Gobi desert? 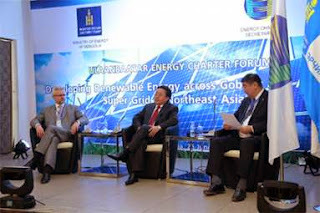 ', 'Cross-border regional cooperation to develop Asian Super Grid', 'Role of international organizations in supporting Gobitec and Asian Super Grid initiatives', at which participant discussed the Gobitec initiative targeted at boosting production of clean energy from renewable, the Asian Super Grid initiative aimed at connecting the countries in Northeast Asia and the international renewable energy community. Closing remarks were made by Mr Tomas Kåberger, Executive Board Chair, Japan Renewable Energy Foundation and Mr Davaadorj, Secretary of State, Ministry of Energy of Mongolia. The event was ended with a gala dinner hosted by Energy Minister M.Sonompil. The Gobitec project investigates the possibility of energy cooperation in Northeast Asia based on concentrated solar power plants in the desert areas of the Gobi desert, in Mongolia and, even more favorably, in China, as the desert, shared by Mongolia and China, is estimated to be the third largest potential source of solar energy in the world and also blessed with steady, strong wind speeds making it ideal for both technologies. 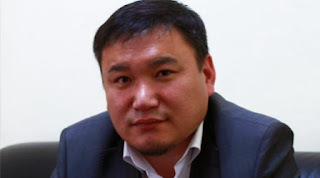 June 27 (UB Post) The following is an interview with T.Bayarjavkhlan, CEO of Moogol Cloud LLC, which is working to make the first Mongolia search engine, Moogol. Compared to other countries, the development of Mongolian information technology (IT) is relatively weak. What is different about the newly developed search engine? We have 20 years of experience working in IT and we've made many programs. For many years, we were thinking about having our own independent search engine. With this aim, we resolved to make this system two years ago and worked on its survey for a year. In Mongolia, technological prospects are open, and content makers are working hard. All soums are connected to fiber optic cables and internet use in rural areas is increasing. So it is important to find a way to use internet distribution effectively. What benefits will we have through the Mongolian search engine? We have spent some time on using information and technological systems. Although we are still using foreign search engines such as Google, Yahoo, and Index. Honestly, since Mongolia is an independent country, it should have its own data base and systems that allows data sharing and updating in order to ensure their information safety. It will be mutually beneficial to individuals and businessmen, if a nationwide information system can be set up. For example, residents of southern regions are planning to plant vegetables in five hectares of field to supply their needs. In addition, researchers conducted a survey that shows plantation potential in the region. Moogol will give these people a chance to exchange their information, cooperate and make the survey more accurately. In this way, a good business environment and collaborative surveys, investigations and data bases will be established. Furthermore, if children in rural area want to learn English, a feed that says "how to learn English online" will be included in the Moogol. It is very unique since we can manage demand and reach of information. You said that having our own search engine is advantageous for press and business sectors. What is the difference between Google and Moogol? It is hard to request to Google that we need that kind of information and we want to distribute it because there is no representation of Google in Mongolia. So our site has to deal with it and make data entering the system and information distribution of private and information companies clearer. Soon we will have a program that fixes misspelling. Consequently, users can search for information accurately and the targeted information will be found easily and fast. So why exactly do we need our own search engine? Maybe users prefer Yahoo, Google, or Index more since they have already gotten used to using them. The point is national security. Mongolian companies are using their Facebook actively instead of developing their own website. This is becoming a key issue which decelerates this sector's development. Moreover, the point is that we are becoming more dependent on foreign search engines. When the internet network is off, the internal e-mail system has to be working. Even though it seems that using foreign sites is not an issue at present, If we look at our future, having our own search engines is safer. If we don't develop this field ourselves, in five to 10 years, maybe we will not even be able to create a website on our own. What kind of information will be included in this search engine? All Mongolian content and information will be submitted to it and companies will have to upgrade their information on it. Google defines their goal as the world brain, but we will set our goal as the Mongolian brain. For consumers, they can find information from Moogol, same as Google. We are aiming to promote our national producers mostly through a cyber network. It was noted by foreigners that information about Mongolia in English is quite poor, during a recent international expo. So it is essential for tour companies to enrich their websites and publish their information in many languages. In addition, research works of scholars will also be added to the search engine. This way, it is useful for students and researchers who will conduct this sector's survey. Also, Mongolians' knowledge on searching information and choosing the right key words is quite poor. So we need to train them in this area. If Mongolia supports its national search engine by using it to find information, Moogol will improve itself quickly. We will launch our website on July 1. How should the state support this project? The state has to show support by establishing a network system such as Facebook and Twitter. For example, our southern and northern neighbors have their own search engines and they are the most used search engines in their nation. In order to take care of national information and technological security, the state has to take this into account. June 27 (news.mn) Japanese Toyota corporation promised a vehicle as a prize to the winning wrestler of Naadam, the three manly games, on the occasion of the 93rd anniversary of People`s Revolution in Mongolia. The head of the organizing committee for Naadam, Yo.Gerelchuluun, confirmed on the report that the Japanese automotive manufacturer Toyota Motor Corporation is to deliver the winning prize for the wrestling for Naadam. The Toyota Motor Corporation Prize will give the key of the vehicle to the winning wrestler during "Naadam for Horse trainers" or "Mongolians in Deel" festival on July 13th. Ulaanbaatar, June 27 (MONTSAME) A parliamentary session on Thursday evening approved a later discussion of amendments to the Telecommunication law. The draft will be submitted to the Standing committee on economy to be prepared for the first discussion in parliament later. After that, MPs were scheduled to discuss an issue regarding setting of ownership share of the Government in Tsagaan Suvarga copper deposit. However, a faction of the "Justice" coalition asked the Speaker to postpone the discussion, advising a review on the matter within the group. The same group had previously taken a five-day break to reschedule the discussion. Accepting the request, the Speaker withdrew the issue from the meeting agenda. 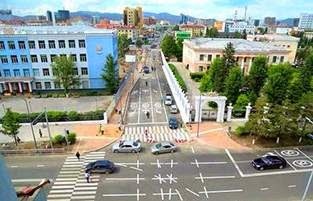 Ulaanbaatar, June 27, 2014 (ABN Newswire) - Frontier Securities provides update for this year's "Invest Mongolia", 8th annual Conference 2014, to be held on September 2nd & 3rd in Ulaanbaatar, Mongolia. The two-day conference will consist of presentations and panel discussions. There will also be a segregated area for exhibitors. De Facto: Do family businesses need good governance? June 29 (UB Post) According to a 2011 census, there were almost 90,000 entities registered in Mongolia, 60 percent of which are now actively operating and account for 75 percent of GDP, as well as 70 percent of the workforce. If we assume that most companies are owned by one family and the rest are owned by two or more, it could be said that approximately 60,000 families have their own businesses. In highly developed countries, such as the United States and Germany, family businesses also make up more than 50 percent of both the economy and workforce. Today, the first of family businesses in Mongolia are struggling to make a difficult transition to the second generation. A study carried out by Harvard University suggests that 70 percent of family businesses last for one generation and 23 percent of them disappear during the second generation. What makes family businesses survive for many generations, just as they were envisioned by their founders? The only answer to this question is good governance implemented, step by step, as family businesses expand. WHAT IS GOOD GOVERNANCE IN FAMILY BUSINESSES? It is observed, in the relatively successful Mongolian family businesses today, that the decision-making power resides solely with the founder (the owner), and their executive management consists of his family members, such as spouses and children depending on their skill set. It is rare to see a board of directors in Mongolian family businesses. The few businesses that have a board of directors mostly appoint family members and only one or two associates, who are experienced, have good networks, and have or had a senior position in the government, as board members. The non-family board members have the role of an advisor. Family members are usually appointed vice presidents, while the owner is selected as the chairman. There are also positions such as president and chief executive director. However, Mongolian family businesses are solely managed by a single person in reality. Mongolian family businesses that have expanded greatly and whose annual turnover and workforce size have become influential within their respective industries are facing the need to learn more about good governance and implement it wisely. This need can be seen by the internal conflicts and disputes that have recently risen between shareholders of renowned companies. The lack of information about internal conflicts within in a business owned by a single family does not mean that there are no conflicts. Good governance in family businesses means that the business is not dependent on a single family member and is viable for the long term, despite the absence of an influential member. If there is such long-term sustainability, it means that the family business has developed into an institution with strengthened management. A company that exercises good governance usually has a clear long-term vision, mid-term goals, and short-term objectives. Teams and divisions within such company are fully aware of their own responsibilities and have an organizational culture that aligns itself with self-sustainability. Those companies with good governance have planners, executives, supervisors, and facilitators who carry out their duties. Family businesses that have good governance clearly define the differences between shareholders, executive management, and family members, and follow their internal rules and procedures as if they were laws. The board of directors ensures the continuous development of the business over many generations by carrying out risk management and leading in a strategic direction. It is advantageous to include external experts in the board of directors of a family business. When a chief executive officer is appointed, the scope of work, including their responsibilities, goals, and remunerations, have to be formally issued even if it is the founder of the business. The internal rules and procedures within such a board of directors of a family business clearly define the percentage of shares owned by each shareholder, the rights of inheritance of each family member, and the age limit of family members who can serve as executive management. Companies with good governance have fewer operational risks, competent independent audits, experts working in executive management, and a good sense of social responsibility. Therefore, there are no difficulties when acquiring bank loans. Because changes to the ownership of a company, including when the top management gets replaced by the next generation, are predictable and are carried out without risks, it does not reduce the chance of getting a long-term loan. Furthermore, when the operations of a company are transparent and clear to the eyes of lenders, it is easier to attract additional capital when necessary. When a company with good governance offers its shares for sale on a stock exchange, the initial prices can be set high because the history of good governance comes with confidence from investors. Also, the shares attract new investors. Owing to good organizational culture and high ethical standards, businesses with good governance have relatively lower turnover of their skilled workforce as their employees get more competent and errors decrease gradually over time. It allows for reduced costs and increased productivity. When an owner is replaced unexpectedly, the transition process happens in a calm, fast manner, according to the rules and procedures firmly placed in a company with good governance. Such events do not cause sudden changes to business operations. When there is an unexpected event within a company that does not have good governance, an internal conflict arises between family members, causing a very costly affair due to court proceedings and affecting business operations heavily. In order to set the amount of dividends given to shareholders and remunerations awarded to executive management, company rules must clearly define what percentage of revenue will be distributed as dividends, what portion goes to executive management, and how much is to be retained by the business for recapitalization. This way, the expectations of stakeholders can be managed. Businesses with good governance have a long-term vision and keep their operations sustainable. Their target markets are clear, thus, their marketing is efficient. Also, their business operations are not affected by the owner's emotional state and behavior. Therefore, the owner does not influence the morale of employees, allowing them to feel that they are doing the job for themselves. The websites of such companies post the names and photos of their board members and executive management. It creates more trust among customers and positively influences long-term relationships. Also, all kinds of assurances in companies with good governance offer a competitive advantage. Good governance in family businesses is a strong tool for creating sustainable operations and improving immunity against recessions. Establishing good governance in Mongolian family businesses does also align with our national interest. June 27 (Mongolian Economy) SME, small- and medium-sized enterprises held their first big forum today to discuss policies being implemented regarding the function of SMEs. The city government talked with representatives to ask for their opinion reflecting on a SME supporting program they hope to establish. Currently, there are over 26,000 small- and medium-sized enterprises in the city who sent 350 representatives to partake in today's event. The city hall has budgeted 5 billion MNT to support these businesses. The biggest problem they face is interest rates, thus the government decided to keep interest rates under 5%. S. Baatar, an SME owner, said, "The biggest problem for us is to receive financial support. I've written three to four projects and submitted them in order to receive financial assistance with lower interest rates." S. Baatar runs a salon for tailoring with four disabled men. He is in need of financial support to expand the operation of his business, which has become a pressing issue for him. The tender process is not clear, making financial aid even more important. The Director of the SME Support Center, B. Odgerel, said "It's common for Mongolian SMEs to run only one type of business. For example, many of them resort to tailoring. If we want to advance this process, small- and medium-sized enterprises should get together and integrate in order to become bigger." The city government is aiming to supply more financial support to these projects discussed during today's forum. They are taking the guarantee upon themselves and establishing no limits on loans taken by these SMEs. June 27 (infomongolia.com) In the frameworks of the "Street" Project financed by Chinggis Bond under Government Action Plan, high congestion junctions in Ulaanbaatar city are being converted into 4-ways since last year and a total of 18 junctions were renewed in 2013, so this year it is planned to renew another 12 intersections. As part of "Street" Project, the first job of this year is accomplished by renewing a 3-way junction known as "Flower Center" into 4-way further connecting with Seoul street and opening of new intersection was held today on June 27, where Prime Minister N.Altankhuyag, Minister of Economic Development N.Batbayar and other officials involving executors were also present. The new stretched road goes through Presidential Winter Palace, which is a state protective zone and was shared for public use that enables to reduce traffic at certain level. In his opening remarks, Premier N.Altankhuyag noted, "The Street Project will be implemented in those roads where civilians facing traffic jam and losing their time. Next week, 4-road intersections will be operational at "100 Ail" and "Enebish Avenue" junctions". The blueprint for "Flower Center" 4-way junction was developed by "AIB" LLC and executed by "Express Road" LLC, where Japanese "CTI Engineering International" worked as advisory company and about 2 billion MNT (Tugrug) was spent for this project. June 27 (UB Post) Chinese Foreign Affairs Minister Wang Yi visited Mongolia from June 24 to 26. Deputy Minister of Foreign Affairs D.Gankhuyag gave an interview regarding the visit. How do you assess the importance of the visit of Minister of Foreign Affairs of China Wang Yi to Mongolia? What's the significance of his visit? The visit is a response to the official visit of Mongolian Minister of Foreign Affairs L.Bold in January. It will contribute in the two countries' strategic partnership and cooperation for all sectors, strengthen mutual trust and understanding as well as enable international and regional cooperation. This visit is very significant for bilateral cooperation. Both ministers of the two countries will hold a formal meeting to discuss and exchange ideas about key issues on bilateral collaboration in the fields of politics, economics, culture and welfare. At the Ministry of Foreign Affairs, they'll discuss the status of current cooperation and future prospects between the two ministries, and both countries' policies and positions for international and regional cooperation. Furthermore, the Chinese Minister of Foreign Affairs will have an audience with Mongolian President Ts.Elbegdorj, Prime Minister N.Altankhuyag, and Deputy Minister D.Terbishdagvad to interchange views on costly issues of the two countries. They'll also complete preparation work for near-future visits and exchange opinions and information for developing cooperation between the two ministries and other issues of mutual interest. This year is the 65th anniversary of Mongolia-China diplomatic ties. How do you see the prospects of the bilateral relation? This year marks the 65th anniversary of Mongolia-China diplomatic ties, which was established in 1949. It's also the 20th anniversary of the establishment of the revised friendly relations and cooperation agreement between Mongolia and China. To commemorate these anniversaries, both sides announced this year as the Year of Mongolia-China Friendly Exchanges and agreed to organize many events and measures together. Most of them are being implemented step by step, including events such as organizing cultural days and film festivals, displaying photography exhibitions, holding art performances and implementing exchanges for children and youths. Mutual visits of top leaders are included in these measures. This visit of the Chinese Minister of Foreign Affairs will be followed by a state visit of the Chinese President to Mongolia, and then, an official visit by Speaker of Parliament Z.Enkhbold to China near the end of this year. In recent years, every bilateral relation and cooperation has been successful. Visits of top leaders have become frequent and mutual works for trade and economy are continuing actively. The two countries are successfully working together within the framework of regional and international cooperation mechanisms. The vital part of strengthening friendship and understanding between the people of the two countries is the strenuous cooperation in culture, education, science, technology, health, and welfare sectors. The prospects of 2014 are getting better as Mongolia-China relations and cooperation continues to intensify and deepen. Currently, Mongolian and Chinese relations are in the most favorable time in history. The Chinese side also has the same opinion. Strategic partnership, which is the highest level of relations between countries, is being implemented. There aren't any problematic issues in political affairs or land and border related matters, we're constantly exchanging our opinions and positions which we're holding regarding international and regional issues. We're cooperating to keep world as well as regional peace and safety. Mongolian and Chinese borders have been completely specified. In other words, it's become a peaceful border. For many years, China has been the biggest partner and investor for Mongolian foreign trade. During the 4th Summit of the Heads of State and Government of the Conference on Interaction and Confidence Building Measures in Asia (CICA), which took place in Singapore in May, Mongolian President Ts.Elbegdorj met with the President of China Xi Jinping and discussed bilateral relations and cooperation for a wide range of issues. At the meeting, President Xi Jinping reaffirmed China's official position by stating, "China respects Mongolia's sovereignty, security and territorial integrity, and respects the development path that Mongolia has chosen for itself in accordance with its national conditions." He also mentioned that China will be more considerate to the interests of the Mongolian side when cooperating in the future with Mongolia. This gives Mongolia favorable conditions and opportunities to develop. China has the most neighboring countries in its region. China expressed their new approach to redefine policies with neighbor countries and realize common development. Can you comment on this? In October 2013, China held a meeting on foreign policy issues for its neighboring countries and made a decision to pay special attention to its neighbors and enable renewed foreign relations. In accordance to this decision, few months after the New Year, China's relation with its neighbors intensified and established free trade agreements as well as free zone agreements with several countries. They also improved the current level of relations and are cooperating actively to take a new step forward. The President of China also expressed his interests to become good neighbors, good friends and good partners, and support each other on issues of core interest and major concern. Mongolia sees this as favorable for Mongolia-China bilateral relations as well as for regional cooperation. In relation to this, during the official visit of Minister L.Bold to China in January, Vice President of China Li Yuanchao Keqiang welcomed him and introduced him to the above policy. Li Yuanchao said, "China pays a particular importance to relations with neighboring countries including Mongolia in pursuit for closer, open-minded, and mutually beneficial policy." How is Mongolia-China relations and cooperation in fields of trade and economy? How are major projects progressing? Mongolia established a strategic partnership with China in 2011. Prime Minister N.Altankhuyag developed a medium and long term program for developing the strategic partnership during his official visit to China in 2013. Based on this, bilateral collaboration is progressing well in all sectors including politics, economics, culture, and welfare sectors. Especially in the last few years, we worked together in major projects for energy, mining and infrastructure and we have a good outlook for getting actual results from previous projects. The main pillars of Mongolia-China strategic partnership are trade and economic cooperation. Business entities of both countries are actively collaborating in mining, construction, road, transportation, agriculture, bank and financial sectors. China has been the biggest partner and investor for Mongolian foreign trade for the last 14 years. During this visit, counterparties of Mongolia and China will assess the progress of Mongolia-China relations in recent years, confirm mutual interests to deepen and develop bilateral relations further, and exchange ideas and opportunities to widen cooperation. They'll be discussing important agreements which the presidents of both countries agreed on last year as well as measures to implement the medium and long-term program to develop the Mongolia-China strategic partnership which includes large scale projects for economic cooperation, coal gasification, and railroad construction. Mongolia plans to build a 5,600 km long railroad and started the first stage to build 1,800 km in 2013. Notable major corporations, banking and financial organizations are welcome to participate in accordance to market regulations in this railroad construction as well as other industrial development projects. With intentions to intensify cooperation, we're negotiating the extending of previously active Mongolia-China Minerals and Energy Council and making it into a Cooperation Council for Minerals, Energy and Infrastructure. Mongolia is interested in co-establishing a coal-based power plant and exporting coal to China. We have opportunity to continue this talk during visits of top country leaders and make further progress. Coal gasification project is giving considerable amount of result and we're working to get actual outcome in the near future. This project can be considered as one of the biggest projects in the history of Mongolia-China cooperation in economics. It's also very important for reducing air pollution in Mongolia. The public has little information and understanding of Mongolia-China relations and cooperation. They have various impressions and views regarding cooperation especially for railroad and mining sectors. What are your reviews on this matter? Countries around the world are developing and changing very quickly. Regions are actively developing and globalizing. They're not losing any opportunities to develop and are working together to create favorable and secure environment for safety and foreign relations. Certainly, looking back and comparing the past would give negative effects for development. The correct thing to do now is to keep moving forward, use every opportunity for development and prosperity and focus on creating secure environment for safety. Presently, there are all sorts of debates about the type of rail road to build; wide or narrow gauge. Respective agencies will discuss this issue and submit it to the government and Parliament. In other words, we, Mongolians, will decide it by ourselves. There'll be no external interferences. June 27 (infomongolia.com) The Foreign Ministries of Mongolia and Japan held the first ever strategy consultation meeting in Tokyo on June 26, 2014. The Mongolian part was chaired by Deputy Minister of Foreign Affairs D.Gankhuyag and the other side by Deputy Minister of Foreign Affairs Shinsuke Sugiyama. During the meeting parties reviewed the present state of Mongolia-Japan strategic partnership relations and exchanged views on the further goals. The Japanese side emphasized that a statement delivered by the President of Mongolia Ts.Elbegdorj at the Parliament of Japan during his visit in 2010 had given a noticeable impetus to the stimulation of bilateral ties and thereafter the two sides agreed to develop strategic partnership relations. Deputy Minister D.Gankhuyag highlighted the expansion of bilateral strategic partnership relations in all spheres including politics, security, economy, culture, education and people exchange as well as at regional and international levels. Moreover, the sides agreed on effective implementation of mid-term program on strategic partnership and intensification of bilateral collaboration in the economic area. In this term, the Government of Mongolia is working on hosting a Mongolia-Japan Business Forum in cooperation with the Japan Business Federation and the Japan External Trade Organization in Tokyo in July 2014. At the first strategy consultation meeting, Ambassador Extraordinary and Plenipotentiary of Mongolia to Japan S.Khurelbaatar, Director of Department of Asia and the Pacific at the Ministry of Foreign Affairs of Mongolia, Ch.Bayarmunkh and Director of First China and Mongolia Division at the Ministry of Foreign Affairs of Japan, Atsushi Ueno were present. Dierkes: "Mongolians must ask their own questions, find their own answers"
June 26 (Mongolian Mining Journal) Dr Julian Dierkes is associate professor at the Institute of Asian Research at the University of British Columbia in Canada. He has been a regular visitor to Mongolia in the past ten years and writes on developments in the country in various journals. His blogs and tweets always give a fresh perspective on Mongolia, and even if one does not always agree with him, they show the keen mind of a trained sociologist. In this interview with MMJ, Dr Dierkes reveals what drew him to Mongolia, what he has seen in almost a decade, and how he thinks things will change. How did you develop an interest in Mongolia and how long have you been seriously studying our country? How long is easier… about ten years now. As for the reason… I had a personal interest in Mongolia. I had some books as a kid. But then I moved to Vancouver twelve years ago. In about 2003 or 2004, Ivanhoe Mines showed up in a newspaper – a big project in Mongolia. And when President Bagabandi came on a visit in 2004 to Canada, he visited UBC (University of British Columbia) and gave a speech and we had some discussions with him at that time. Because I work at the Institute of Asian Research, we're meant to cover all of Asia. Just because I had a personal interest, at that time, I was involved in organising the President's visit. In a discussion with the President, he talked about a need for educational reform, and for exchanges between Mongolian universities and Canadian universities. And after the visit, I went to the director at my university and said, "We need to go to Mongolia and try that and see if there is an opportunity for students to exchange." So the first time I came to Mongolia was in 2005, in the end of the winter and beginning of spring, I met mostly with university officials, but because I didn't know anything about Mongolia I tried to meet with everyone. So I met with some people in the mining industry, some people in the development field, and just very naively asked a lot of questions. I loved it. I had a great time in Ulaanbaatar. I thought it was fascinating and that's where my interest came from. My research had all been on Japan. So I had lived in Japan and done a lot of research there. Then I came to Mongolia and it's in Asia so some things look a little bit like Japan, but it's also very different. As a researcher, I was just very curious. And some of my first experience with Mongolians was that people were very direct, and very brief and very clear, whereas in Japan, things are very complicated when you talk to people. It's not very direct, it's very complicated. So I liked the difference. I liked going to Japan, but Mongolia felt very different. And I enjoyed that. That's why I got interested. Now that you've been involved with Mongolia for some years, which area is particularly interesting to you? What area do you want to study more in depth? My interests in Mongolia are largely driven by the problems I see, the challenges I see here. My work in Mongolia is very different from the other work that I do -- that's much more theory driven. But in Mongolia, I sort of look around, and I talk to people and I try to find out what are the big problems, what are the big challenges and where are the big changes. And that's what I'm interested in. For example, before I started working on Mongolia, I really didn't have any interest in mining. It was just something that I hadn't worked on before. But clearly mining is one of the central developmental, political and social challenges for Mongolia. And that's how I got interested in mining. Another area that I pay a lot of attention to is political development and democracy. So I observed the last four elections in Mongolia. I don't work on elections and democracy in Japan. But because that's so important to contemporary Mongolia, I got interested in it. The four elections you observed would cover extensive parts of the history of contemporary Mongolia. What was the biggest observation you made? That's an interesting question. There are so many things about the elections. I think it's more visible in the countryside. I've been in the countryside during elections, and the extent to which individual Mongolians celebrate democracy and see voting not just as a duty but also as a privilege and almost enjoy the election, is really interesting actually. For me, I'm a German, I grew up in Germany. In Germany, some people who are politically interested are excited about elections. But when I see people walking to the polling section, they don't look excited. But in Mongolia, even now, with elections, people really enjoy the opportunity to make themselves heard. As for the political system, the part of the Mongolian political scene that I struggle with or that is difficult to understand is that the parties don't have a set of competitive and developed policies and ideologies. If I look at the DP and MPP, there is no core ideology where they are different. It's been a learning process for me to understand how a political system works when the fight is not over policies or substance but it's a different mechanism that drives politics. You said that earlier you didn't have any interest in mining and you started to learn about it because of Mongolia. What is your background? And do you take Canadian mining as an example and compare it to Mongolian mining or what is the way you use to get an insight into the Mongolia mining industry? The programme I teach at UBC is Asia Pacific Policy Studies, and so I'm interested in policies and how the government develops strategies and goals and then tries to work the first to reach the second. That's what made mining interesting to me in Mongolia. Maybe not the biggest, but one of the biggest challenges for the Mongolian government and also for the people of Mongolia is to decide what they want to do with this wealth, with the minerals – gold or copper, whatever it is – and find a goal and then find a way to reach that. So that's my interest in mining – what role it plays in the development of the country. The first issue that I focused on with some graduate students in 2006 or 2007, I think, was the Investment Agreement with what was then Ivanhoe. The question was: how do you structure a contract or an agreement to maximise the benefit for Mongolians? How does a government do that? It involved mining, because that happened to be the industry in that particular case, but my interest was really in how you make that decision and how you bring benefits to the country. Once I developed this interest, I met with people like Bern and his colleagues. Bern is an expert on processing, gold processing and all that, but I learned from them that they all were very interested in the social context of mining -- things like social licence and community engagement. And that's where our interests sort of came together. All these engineers and people in mining want to know about things that I know something about, which is how governments work and how policies are made. So that was very exciting to me that what I thought was a very technical field – mining – had an interest in the kind of research that we do in our field. And that made me more interested in the mining side as well. But the technical issues are all very difficult to me. Part of the reason that I came on this trip was to have a chance to talk to everyone but also to go see the mine because I don't really understand very well how mines work. You said you did a study on maximising the benefits for Mongolians from the Investment Agreement with Ivanhoe. What were its main findings? That was a project with students primarily to try to understand what was happening. And the students ended up drafting versions of an agreement. But it was really more of an exercise in finding the questions that should be asked rather than coming to solutions. Ultimately, from my perspective, that's a decision that Mongolians should make, as is identifying their own priorities. It's not really my job. I tried to find out the issues that should be addressed and the questions that should be asked. Your observations on the political side or the political development of Mongolia are very interesting. How about your observations on the mining industry of Mongolia – the challenges and opportunities that we have? I think one of the challenges in making mining policy in Mongolia is that there are no independent actors or independent institutions that are able to provide analysis or even research on the choices that are open. For example, if you think back about the negotiations with Rio Tinto and when the decision was made that the Government would take 34 per cent stake, there was nobody, no individual or institution, that could analyse what it meant to take a 34 per cent stake – how much money that was going to produce, if there were better modules or worse modules. So I think one of the challenges that still exist in Mongolia today is that the people who make the decisions have some information but they often lack other information and therefore it's difficult to make those decisions. That's one of the challenges I see. The opportunities… I think what makes visiting Mongolia so much fun and inspiring is that because the population is small and the country is so resources-rich, if Mongolians make some good decisions, and they don't have to be perfect decisions or the best decisions, but if they make some good decisions, there are real opportunities to make an impact on Mongolians' lives. In 50 years, when Mongolians look back, they will have to decide whether they were good impacts or not, but there certainly has been a strong impact. And Mongolians, not just individuals but also the government, have some tools to make good decisions that will really bring some benefits to the country. That's really interesting as a researcher, but as a person, it's also really fun and inspiring to watch. Have you visited any Mongolian mineral deposits? I have only been to Boroo Gold's mine site. You said that when you met with technical people like Bern, they were very interested to know about the social aspects of mining, including the social licence. If you have a chance to talk with Mongolian miners and technical experts, what kind of questions would you ask them? I haven't had the opportunity to talk with many Mongolian technical people. I usually stay with politicians, and with the social side of the work. 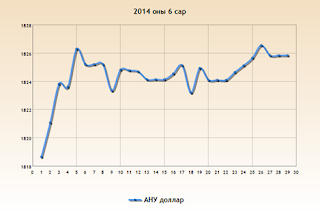 There is generally a very negative perception about the mining industry in Mongolia. Do you feel it when you are in Mongolia? And what do you think is the reason for that? Yes, I have felt those negative vibes. I think the same would have been true in Canada 20 to 30 years ago. So when technical people like Bern were focused on the technical side, they and also others in the industry began to look at things politically and socially by following political and social struggles and issues. That's bound to happen in Mongolia because there are so many questions being asked about mining. So we are beginning to see more of what is the social impact and that this needs to be thought of at the same time as the technical issues. In Australia as well as in Canada, you have the aborigines. And in Mongolia, we have the herder community. How do you see the main difference between them? That's a really interesting question because when you hear people in mining talk about community and community engagement, they think about a very small nearby community, they mean the actual immediate surroundings. That is also a question in Mongolia, of course, because for most projects, there are herders in the area. But the wider community, I think, is a question for Mongolia especially. The local impact may be similar in the two countries, but the wider community matters in a different way in Mongolia. And another big difference is that in Canada, there is a very big difference or separateness between the average Canadian community, and the people who do the mining. And that's less the case in Mongolia, for here there isn't that separateness, that ethnic or religious or historical difference between the two as the miners are also Mongolians . Now some foreigners are involved as well, but it's not the colonial relationship and colonial legacy here the way it has been with an average community in Canada or in Australia. Have you ever met with herders in Mongolia? I spent a summer with a herder family with my family near the Boroo Gold mineral deposit. So I talked to herders, but not about immediate mining issues. It's a little bit embarrassing but I've never been to the Gobi. I would like to have discussions with the herders who affected by mining. That would really be useful. I understand from you that social licence, a very crucial thing in the mining sector in Canada, is not a very well-known concept in Mongolia, which maybe is one of the reasons why the reputation of the industry is so low here. What do you think the mining companies in Mongolia have to do in order to get their social licence? That's interesting because I came to mining with a similar attitude, thinking of it primarily as an extractive operation and a business because my background isn't in mining at all. And so the notion of social licence I really only learned from people like Bern. And from them I realised that mining projects around the world depend on social licence. I think parts of the mining industry in Canada -- and not just in Canada, the mining industry globally – are realising that they can no longer operate simply on that notion of always just business – "there's a fence around our project and we don't have to care about the outside" -- and I think that's because mining has such a big impact on the environment and on people. So the version of mining that ends at the property border just doesn't exist any longer. If that realisation is a perspective or is an attitude that mining companies operating in Mongolia including domestic mining companies adopt then they have to start asking questions about their social impact and asking those questions is certainly the first step towards social licence. The learning process for companies in Canada, for example, has been that many projects have failed. They couldn't work as a business because they didn't have social licence. And when people in the industry see that the project over there doesn't work, they start thinking about their own project and say, "What do I have to do to make this project work?" And then social licence comes into play. Now ideally, projects in Mongolia don't have to fail so that people can take that into account, but ideally again, the mining industry here would learn that from places like Canada or Australia and say, "Let's not go down that road of failure but let's try to operate from the beginning with an aim of achieving social licence and an awareness of our impact." I don't think there are models of perfect social licence. You can't just say, "Let's take this from Canada and we'll do it in Mongolia." But I think what is clear is that if you don't think about impact and social licence, projects fail. So what everyone – and that includes politicians and policymakers, as well as the companies -- can learn from other countries is to say, "Let's not fail, even though there is no perfect solution either." Some of the context of relations between the aboriginal population and mining companies in Canada, or Australia, isn't very relevant to Mongolia and so it's not a matter of saying, "Let's do exactly what companies in Canada have done," but it is important for companies as well as for policymakers to think about what would be the most appropriate way to achieve social licence in a Mongolian context. Could you give us some good examples of social licence in the Mongolian mining sector? Oh, no. I don't know enough details about the operation. 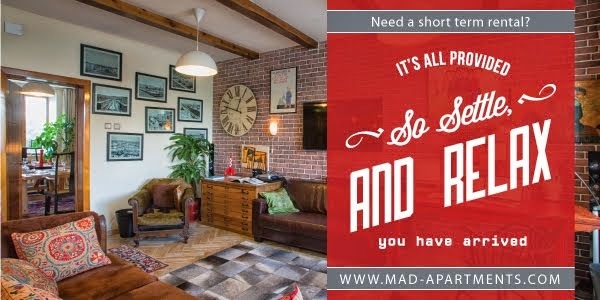 Do you have any opinions about it? I think there are big differences between small mining operations and medium operations and big operations. And there are also differences between exclusively domestic Mongolian companies and companies that perhaps have some form of participation and then foreign companies. In all these different segments of the industry, people are approaching challenges that they're facing in a different way, I think. So if I knew more details about the industry I think there would be examples of companies that are concerned about social licence in all of these segments -- maybe in very small ways or bigger ways -- but I'm sorry I'm not familiar enough with the actual on the ground specifics to be able to say. How do you think revenue from mining can be successfully converted into actual long-term development? I think that's a difficult challenge that every country struggles with. There are different models but I don't know if any of them has been terribly successful except for Norway probably. But they're so rich and so small, so it's a little bit easier for them. I think that a lot of the development in large parts of Canada comes through employment rather than the money that's generated to the state. And it's also easier because there are larger functioning economies that are independent from mining. So obviously if mining has a bad period, it is not as terrible as what we're seeing in Mongolia right now when the reduction in mining investment has had a huge impact on everything. There are no perfect solutions from anywhere. There are attempts and they involve saving investment funds, tax regimes, re-investment into education or into other activities. But it's a big complex, it's a collection of different policies rather than just one solution. So just as with social licence, the solutions that you are going to need for development in Mongolia have to be Mongolian solutions. But the whole arena of policies that could address development and mining are going to be different in Mongolia from those in Ontario or in Indonesia. One of the great strengths for Mongolia is literacy. You can think about other countries that have a lot of mineral wealth where literacy is low and so their solution for sustained development has to focus on education. In Mongolia, obviously, education has to be part of the solution but you start from a strong basis in a way that other places don't. When you think about future development for mining in Mongolia, you just reinforce primary and second education but you don't have to create it. So the solutions have to be Mongolian solutions. When mining projects are considered in Canada, there are a lot of different actors who will collect information to develop an understanding of the issues and then contribute to the decision. I think one of the things that are still developing in Mongolia is that there are not many different actors who have a lot of policy analysing capacity to help the government or society come to a solution that will lead to sustainable development. Your journal can play a very important role in this because the press needs to be there. An independent press can analyse proposals or developments in mining. The parties have a role to play in this. The government has a role to play. One thing maybe missing in Mongolia is different actors with the capacity to speak on the basis of deep understanding about the benefits of projects and the risks of the projects. An issue that I'm very interested in relates to political and social institutions that can help you come up with policies that will have a positive outcome. In Canada, we at the university analyse mining projects research, the press spends a lot of time analysing, and the parties, the provincial government and the federal government all do it. So everyone develops a well-founded view of a particular project. And from that you also get social licence. When a lot of different people look at, say, labour relations or water, and discuss their perhaps conflicting views in a productive way the chances for a good outcome are far better. I think some of those institutions are still developing in Mongolia. And that makes some of the decisions difficult because different points of view based on evidence and research are not available. You have been studying Mongolia since 2005 which is almost a decade now. What have been your major works? One of the areas I'm very interested in is political development. I've observed the last four elections and I try to keep track of or understand a bit more about how the parties work both at the national level as well as provinces and aimags. So political development overall is an area that I'm very interested in. We know that you are very active in social media and write posts about Mongolia and your studies. What kind of reactions and responses do you receive from Mongolians? Almost none and it makes me very sad. I know I am wrong in some of my analysis. Of course, I am, because there are things I don't understand in Mongolia. But no one ever tells me that I'm wrong and it's sad or it makes me worried because I don't have a chance to learn and because people don't tell me when I'm wrong. So the next time I think about something, I can't draw on that lesson and say, "Wait, I was wrong and I need to change that." So I wish I could hear more. You mentioned before that you meet and work with all kinds of people in Mongolia in order to address a matter practically, not theoretically. Who are those people that you work with in particular? I think when I first came to Mongolia, I didn't plan this. It wasn't a strategy. But I just tried to meet with everyone who would talk to me -- different parties, or NGOs, or the embassies, or the development agencies. The first time I came, I made a long list of all these different types of people and organisations that I wanted to talk to. And I was fortunate that many of them at that time were willing to talk to me and so I've been able to go back to very different actors. I learn much more when I can talk to this perspective and that perspective and if they are very different, I learn. So I continue to try to do that. Whenever there is an opportunity I meet new perspectives, although I have to say that most of my contacts and conversations are in Ulaanbaatar, and not in the countryside. I spent a little bit of time in the countryside, but it's much easier to operate in the city, and it's more efficient and quicker. So I try to keep my perspective broad but it is limited more to the national government and academics at the university. You have worked on Japan and on Mongolia. Do you know what country you would choose next? I think I'll stay with Mongolia. However, there's one country that I've been thinking about for a while which is Myanmar. The interest would be in comparing it with Mongolia. If I had a chance, I would be very interested in taking Mongolian decision makers in a field like mining to Myanmar and having them meet Burmese officials and then to get the Mongolians to talk about their experience. What happened when the world capital markets discovered Mongolia in 2010? How did they experience that? Because it will happen in Myanmar also. What is the one thing that you want to understand about Mongolia the most? And what is so hard to understand about Mongolia? I'm a sociologist. So there are certain areas of social development that I'm more interested in than others. For example, one of the things obviously interesting to many people about Mongolia is something like religion. On the one hand there is the resurgence of Tibetan Buddhism but on the other hand there are shamanistic practices; how do those get mixed? But that's not an area I work in. Religion is not something that I'm particularly interested in even though it's important and fascinating. In Mongolia you have to pick certain fields and so I continue to be mostly interested in education, politics and economic development. Those are more my areas. The things that I find exciting are things that are changing very rapidly in Mongolia. And that will change over the next 10 years. I think for me as a researcher it's really a privilege and an honour to be able to watch such big changes over a relatively short time. The areas that I'm interested in are areas that I understand so that's why they are social, political, economic and educational. And these are the areas where stuff happens and things are changing all the time. You just mentioned the areas you are most interested in about Mongolia and I already heard some of your perspectives on the political side of Mongolia. Then what are your observations in the economic field and educational field? I'll talk about education first. As I mentioned before, Mongolia is quite lucky that it came out of the socialist period with a strong primary and secondary education. So literacy is an obvious thing. At the same time, I think higher education or universities and also vocational education is developing more. The primary and secondary basis is strong and everything that happens beyond that is changing more. It needs to change more, I think. Economic development – that's a very difficult issue this year. Right now, things look a little bit difficult. We've seen in the past how debts taken on by the state, how the lack of decision on Oyu Tolgoi, all make economic development difficult. So this is a challenging period for the economy of Mongolia. Politically, one of the things not happening is that the political parties are not defining themselves on the basis of policy. Most parties are organised around people. The Democratic Party doesn't have an ideology or a particular perspective that's different from the MPP. There are different people in them, but the perspectives aren't very different. And I think that remains an important aspect of political development that has consequences. I have a very general question for the last. Mongolia has lots of young people and can be referred to as a "youthful" country. How do you see Mongolia's future opportunities? I think one of the things that attract me to Mongolia is its youth and dynamism. Mongolia's potential, where things could go if they go well, is fantastic. You have a small and well educated population, and mineral wealth. If the right decisions are made, 10 and 20 years from now Mongolia is going to be a pretty happy place. Not perfect. Canada isn't perfect. Germany isn't perfect either. But the potential for good outcomes is very strong. And young people are a big part of that. June 27 (Mongolia Focus) The Canadian Department of Foreign Affairs, Trade and Development revised its list of priority countries in June 2014 to include Mongolia. This is a further step in the long-term process to increase Canadian-Mongolian bilateral engagement. A bilateral aid program has been in the making for some years, at least since the visit of then-PM Batbold to Ottawa in Fall 2010. A CIDA (now amalgamated in DFATD) officer has been posted at the Canadian embassy for some years. Then-Min of Intl Cooperation Bev Oda visited Ulaanbaatar in August 2011 and a number of smaller development projects in Mongolia funded by CIDA have focused on public service reform and women parliamentarians (those are the projects I am aware of). The announcement of the addition of Mongolia to the list of focus countries and the increase of the budget share devoted to these countries from 80 to 90% suggests that more concrete announcements of Mongolia activities will be coming, perhaps during the next visit any high-ranking Canadian political officials might make to Ulaanbaatar. So, why should a country that's growing economically be a priority focus for foreign aid? The cynical/critical perspective on this points to an overlap between trading patterns and development aid. This is an aspect of the priority list announcement that Kristen Shane of The Embassy identified, for example. And, true enough, DFATD's "Global Markets Action Plan" identifies Mongolia as an "Emerging Market – Specific Opportunities for Canadian Businesses" and thus a priority. From my perspective this not a case of commercial interests driving development engagement entirely, but rather one where commercial interests have produced a plethora of expertise on the resource sector in Canada, not just among corporations, but also governments, academics, NGOs and development experts. It is in this common source (a pool of expertise) that I see the roots of a productive and non-cynical overlap between commercial interests and development activities. In this context I also take note that the volume of bilateral trade and investment is somewhat inflated by the formal part-ownership of the giant Oyu Tolgoi gold and copper project by Vancouver-based Turquoise Hill even though this stake is effectively controlled by Anglo-Australian Rio Tinto. Canadian commercial interests, even in the mining sector, are thus at the moment limited to exploration and the near-development of relatively smaller projects, professional and other services, as well activities in other sectors. This may change in the future, of course. I am more skeptical on the direct involvement of corporations in the delivery of development projects, though there surely is some scope for collaboration in this as well. The role that Canada can play very effectively in my mind is to help Mongolians understand and evaluate the policy alternatives that present themselves, in part on the basis of decades-long experience with resource policy in this country. This is not to imply that there is a Canadian or a British Columbia model to follow, but rather that this experience might point to the consequences that policy choices that present themselves to Mongolian decision-makers might have. As I have explained in a recent interview in the Mongolian Mining Journal, "Mongolians must ask their own questions, find their own answers", but Canadian expertise can (and should, I think) support such a search. "ensuring human development, decreasing rural-urban disparities and improving economic competitiveness. "The goal of Canada's assistance is to help the country stimulate sustainable economic growth by strengthening public service capacity, particularly the management of the extractive sector." Given the expertise that Canada offers in some of these areas, it is not surprising that Canadian development aid might be welcomed by Mongolians and might contribute to the more sustainable and equitable continued development of that country. As one of the relatively small (but active) cabal of Mongolia-interested Canadian academics, I (hope to) benefit from increased governmental interactions between the Mongolian and Canadian governments. However, I am not on any payroll in the facilitation of such interactions. I do regularly discuss opportunities with Canadian and Mongolian officials. I also do hope to be more directly involved in development activities in Mongolia at some point sooner rather than later. FIVE HILLS TRAINING AREA, Mongolia, June 27 (III Marine Expeditionary Force / Marine Corps Installations Pacific) - Bang! A hand grenade goes off. Mongolian role players yell, "Help me!" as they pretend to be injured from the training grenade. This scene transpired June 24 in the large, grassy field of Five Hills Training Area, Mongolia, as Mongolian Armed Forces service members and U.S. Marines and sailors trained side-by-side during combat first aid training at Exercise Khaan Quest 2014. This was not the first time the service members worked together; they executed convoy operations training June 23, instructed by members of the Australian, German and Czech Republic Armies. The exercise is designed to enhance military-to-military relations between the U.S., Mongolia, and other international forces throughout the world. KQ14 is a regularly scheduled, multinational exercise hosted annually by Mongolian Armed Forces and co-sponsored this year by U.S. Army, Pacific, and U.S. Marine Corps Forces, Pacific. KQ14 is the latest in a continuing series of exercises designed to promote regional peace and security. This year marks the 12th iteration of this training event. "Generally, missions are very international, so it's important that you train internationally before you go to a mission," said German Army Capt. Christian Seckler, a convoy operations instructor during KQ14 and an instructor at the German Armed Forces United Nations Training Center in Hammelburg, Germany, and an armed reconnaissance officer for the German Army. "The worst case would be if the first time working together was during a mission, especially since every country has their own standards and operations. We can also learn from each other when we speak about experiences or train together because every time you see another way to do something, you can think 'perhaps there are some advantages to that way' and you could say 'hey, that's something that I can use for my unit.' So I think it's important that we train together." The service members practiced how to maintain safe distances, how to properly check for improvised explosive devices (IED) and how to secure the area around a suspected IED during the convoy operations training. During the combat first aid training, the participants learned how to take life-saving steps safely in a conflicted environment. "Each nation trains differently, so if they teach one standard across the board at the most basic level, then everyone can build off of that and work well together," said U.S. Marine Cpl. Justin Cleland, a squad leader and infantryman with Company C, 1st Battalion, 8th Marine Regiment, which is currently assigned to 4th Marine Regiment, 3rd Marine Division, III Marine Expeditionary Force, under the unit deployment program. All of Company C is participating in KQ14. The exercise will help with future real-world situations because the participating nations will have insight as to how other nations operate, according to Cleland, a native of Fredericksburg, Texas. KQ 14 also provides the service members an opportunity to work on their problem solving skills. "(This event) is special because it is mixed with Mongolian and U.S. service members," said Japan Ground Self-Defense Force Capt. Yusuke Minagi, a convoy operations instructor at KQ14 and an international peace activity training officer from Shizuoka, Japan. "Communication is a problem. Most Asian countries cannot speak English very well, so if you conduct missions together, you have to think of something to solve the language barrier, especially since an interpreter is not always enough. Each squad or platoon cannot have an interpreter, so before you start a mission, use an interpreter to talk about the mission and come up with a set way to communicate." The Mongolians and U.S. Marines found that using hand and arm gestures and body language helped get across what they were trying to say. "It's definitely a challenge with the language barrier, but I think it went well," said Cleland. "We've been using hand and arm signals and body language. I know for me, for instance, I was trying to tell the guys to 'back up.' It was a little challenging, but we got through it, and it worked." The exercise provides an ideal platform for participating nations to demonstrate military-to-military interoperability, improve peacekeeping operations capabilities, enhance relationships and increase multinational cooperation. In addition to Mongolia and the United States, military personnel from Australia, Bangladesh, Belarus, Canada, China, Czech Republic, France, Germany, Hungary, India, Indonesia, Japan, Nepal, Poland, Pakistan, Republic of Korea, Russia, Singapore, Thailand, Turkey, Tajikistan, and the United Kingdom are participating or observing. "Khaan Quest is important because we train in a lot of things, and it's good to practice (together)," said Mongolian Armed Forces Sgt. Sh. Bayaragnai, a combat first-aid instructor and a military nurse. "It's important to work with the different nations because we need cooperation and cross education, which gives an advantage (for future interactions)." by Zaki Khalid, June 30 [Terminal X Desk] - Observers from the Pakistan Army are participating in a large, multinational peacekeeping operations exercise in Mongolia. Dubbed as Khaan Quest 2014, this training exercise is being held at the Mongolian Armed Forces Peace Support Operations Training Centre at Five Hills Training Area. The opening ceremony took place on Friday, 20 June 2014.
Notable presence in the exercise includes officers from the US Army Pacific and German Armed Forces. Welcome addresses were delivered by Major General B. Bayarmagnai (Deputy Chief of General Staff, Mongolian Armed Forces), B. Bat-Erdene (Member of Parliament and Defence Minister of Mongolia) and Major General Thomas H. Katkus (Adjutant General, Alaska National Guard). "I would like to extend my sincere appreciation to all the peacekeepers who are unifying their sentiment for peace," said Bayarmagnai. "The Khaan Quest multinational exercise has significant importance that enables opportunity for international peacekeepers to share their knowledge and experience in peacekeeping operations, execution techniques, learned lessons, and real-life practices among the Soldiers." Khaan Quest is hosted annually by the Mongolian Armed Forces and sees specific joint exercises between US Army Pacific and Marine Corps Forces Pacific. This is the twelfth in the series of exercises and consists of four main events: Command Post Exercise, Field Training Exercise, Engineering Civil Action Program and Cooperative Health Exchange. Almost 1000 service members from 23 other countries, besides Pakistan, are participating in Khaan Quest 2014 as participants and observers. The countries include Australia, Bangladesh, Belarus, Canada, China, Czech Republic, France, Germany, Hungary, India, Indonesia, Japan, Mongolia, Nepal, Poland, Republic of Korea, Russia, Singapore, Tajikistan, Thailand, Turkey, the United States and the United Kingdom. No further details were provided when this scribe contacted a spokesperson for the Pakistan Army at the time of writing this report. Regular updates can be accessed on the official Khaan Quest Facebook page here. June 27 (UB Post) Newly constructed extension of the Central Food Laboratory of SAMO Scientific Food Research and Manufacturing Institute opened on Wednesday with the aim to improve food safety in Mongolia. The extension was built as part of a Mongolia-Korea bilateral contract on "Strengthening safety monitoring on agriculture-based food products in Mongolia" project, which is financed by the Korea International Cooperation Agency (KOICA). Total cost of the establishment was one million USD. According to reports, 600,000 USD was used for equipment purchase and installation, while 400,000 USD was spent on training specialists and researchers. 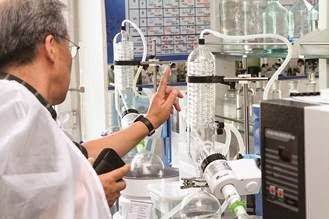 The researchers of Korea Food Research Institute, who executed the laboratory project, are currently teaching Mongolian staff the operations of the laboratory equipment. The new laboratory is fully equipped with required modern equipment and is capable of conducting extensive research on any type of food product. At the opening, Deputy Minister of Industry and Agriculture Ts.Tuvaan said, "The Food Safety Law of Mongolia was approved last year and we faced an urgent need to establish a high capacity laboratory to enforce the law. The newly opened laboratory can detect content and origin of all types of food products that include meat, dishes, vegetables and flour, using nano-technology." "Detailed research can also be conducted on samples of food that caused food poisoning, on meat with possible antibiotic content, or wheat with pesticide content for clarification at this laboratory," he noted. Acting chief of SAMO Institute G.Maral commented, "Calories, quality statistics, amino acid, fat acid compound, pesticide, antibiotic content, food coloring and flavoring substances, as well as food preservation substances will be detected with our equipment in the laboratory." She also highlighted that their previous equipment required extensive time and manual operations, while the new laboratory will save time and increase efficiency. "Previously, we conducted researches on around ten samples, now we will do studies on 50 to 60 samples per day." "Our researches will not be limited by only samples which inspectors brought. We will conduct our research based on requests of individuals and organizations for a certain amount of fee." Evaluations by SAMO Institute will be valid throughout Mongolia. Ulaanbaatar, Mongolia, June 27, 2014 (The Asia Foundation) — On June 26-27, The Asia Foundation and the General Agency for Specialized Inspection (GASI) held a national training workshop, "Developing a rehabilitation methodology for small-scale mining, ensuring the proper use of natural resources, and protecting biodiversity and habitats," at the GASI Conference Hall. The workshop was organized as part of the second phase of the Engaging Stakeholders in Environmental Conservation Project (ESEC II) designed to enhance the contribution of Mongolia's artisanal mining sector to sustainable local development. More than 88 inspectors participated in the training, which also included presentations by the heads of environmental-related government departments, senior state inspectors and senior specialists from various ministries, as well as the Foundation's ESEC II staff. Through this national workshop and follow-up trainings, ESEC II is committed to helping build capacity for environmental inspectors as they assess the development of improved rehabilitation practices of artisanal and small scale (ASM) communities. Through collaboration with national stakeholders including key government departments such as GASI, the Foundation's ESEC II project has developed agreed joint workplans. Frugal rehabilitation methodology is one important output of the joint workplan; this national training workshop will provide background training in preparation for additional aimag andsoum-level trainings later in the year. The national workshop covered a wide range of environmental issues, both legislative and technical, including: natural resource use and conflicts, laws on resource exploitation, protected areas, and environmental impact and biodiversity assessments. In addition, other topics covered included licensing issues and broader presentations on green development, small-scale mining, and an introduction to the frugal rehabilitation methodology being developed through ESEC II. Mr. Tserendash, Head of the Environment, Tourism Inspection Division of GASI commented on the value of the workshop: "The testing and implementation of the ASM frugal rehabilitation approach will improve environmental inspectors' professional capacity and align with a Government Action Plan objective to increase the amount of rehabilitated land to 70%." Meloney C. Lindberg, The Asia Foundation's country representative in Mongolia noted: "I am happy to see the continued collaboration with GASI, who was a key partner during ESEC's Phase I. GASI remains committed to keeping their environmental inspectors up to date with new skills and knowledge on emerging environmental rehabilitation practices." The ESEC II project, implemented by The Asia Foundation with generous support from the Swiss Agency for Development and Cooperation (SDC), aims to enhance the contribution of Mongolia's artisanal mining sector to sustainable local development, including the realization of the right to a healthy environment and the right to decent work. The project is conducted under a Memorandum of Understanding with the Ministry of Mining and complements SDC's Sustainable Artisanal Mining project by introducing responsible and sustainable environmental rehabilitation approaches for abandoned ASM sites. The project incorporates a multi-stakeholder approach pioneered by the Foundation in 2006 on the "Securing Our Future" project and, most recently, the ESEC I project. June 25 (The Asia foundation) For the last four years, Mongolia has had one of the fastest growing economies in the world, clocking double-digit growth on the back of a mining boom. The effects of this growth are obvious, especially in the capital, Ulaanbaatar, where cranes dominate the skyline and luxury stores compete for space to attract customers. However, the economic tide seems to be turning, with growth predictions showing a single-digit growth of 9.5 percent according to the ADB, which corresponds to a declining trend starting at a high of 17.5 percent in 2011, dropping to 12.3 percent in 2012 and 11.7 percent in 2013. There are several reasons for Mongolia's decelerating growth. As an economyfueled by the mining sector, Mongolia has suffered from the global drop in prices of coal and copper, two of its main export products, resulting in a corresponding drop of export revenues by $800 million. Another factor is the drop in foreign direct investment of 54 percent last year due to conflicts over mining agreements and licensing and insecurity of investors over the stability of the regulatory framework. While the economic downturn presents pressing immediate challenges, one of the main long-term challenges for Mongolia has been to ensure that growth is inclusive. Although Mongolia's economic growth has helped to reduce poverty by more than 11 percent in recent years (from 38.7% in 2010 to 27.4% in 2012), it is clear that some are benefiting more than others from Mongolia's mineral wealth. There is a perception among many people of rising inequality in terms of income distribution, but also in terms of access to opportunities such as a good education, a good job, or just to get decent healthcare. As the economy slows, the question now is what the impact will be on poverty levels and income inequality. High inflation averaging 12.4 percent in 2013 has increased living costs in Ulaanbaatar where prices of food, consumer goods, transport, housing, and services such as electricity have risen significantly. Insulating low-income residents from the worst of the impact of high inflation and enabling their full participation in economic development through greater employment and access to basic public services are essential issues that Mongolia's government will need to address as part of its efforts to get the economy back on track. In April, Mongolia's Prime Minister, Altankhuyag Norov, launched a "100-day action plan" aimed at reviving the economy. The prime minister's 50-point agenda, which was approved by Parliament in May, promises to boost infrastructure, mining, manufacturing, and the development of small- and medium-sized businesses. Proposed actions include the establishment of free economic zones, improving debt management, and flexible provision of services such as credit and leasing. An economic council has been tasked to monitor the implementation of the agenda and provide recommendations to the Prime Minister on key reforms. If urbanization trends continue, Ulaanbaatar is likely to grow further in size and economic importance, becoming a key economic actor in its own right. While the prime minister's plan is an important step toward salvaging the economy in the short-term, long-term economic planning will need to be improved to diversify the economy and ensure the sustainability of growth. Tirza Theunissen is The Asia Foundation's deputy country representative in Mongolia. She can be reached at tirza.theunissen@asiafoundation.org. The views and opinions expressed here are those of the individual authors and not necessarily those of The Asia Foundation. Ulaanbaatar. June 27, 2014 (World Bank) -- How can the citizens of Mongolia be protected from disasters? How can hospitals, school buildings and local communities be made safer and stronger, before earthquakes or floods happen? How can government agencies and the people work together to reduce the risks from natural hazards? The answers to these questions are being discussed today at the Disaster Risk Management (DRM) workshop in Ulaanbaatar City. The workshop, hosted jointly by the National Emergency Management Agency (NEMA) and the World Bank will bring together over 70 participants from the Office of the Deputy Prime Minister, UB Municipality, line ministries, aimag authorities and others. This workshop is the first part of the Support to the Mongolia Disaster Risk Management Program being undertaken by the World Bank, in collaboration with NEMA, The program aims to enhance the capacity of the Government of Mongolia to mitigate and manage the impacts of natural disasters, with an emphasis on strengthening institutional coordination and increasing professional capacities among agencies. Ulaanbaatar, June 27 (MONTSAME) Chief of the Emergency Management Agency T.Dulamdorj is attending the sixth Asian Ministerial Conference on Disaster Risk Reduction these days. The Conference is taking place in Bangkok, Thailand to provide a unique opportunity for Asian Disaster Risk Reduction organizations and practitioners to shape the Hyogo Framework for Action 2. A strong turn-out of government ministers and top disaster management officials ensures high-level political engagement in key discussions at the 6th Asian Ministerial Conference for Disaster Risk Reduction in Thailand which will end June 28. More than 2,500 representatives from 42 countries are taking part in the three-day conference to agree the region's priorities for the post-2015 global framework for disaster risk reduction. The Conference features four High-Level Round Tables comprising Ministers in charge of disaster risk management and the Heads of Delegation from each country present. At one of these forums Ministerial Statements reflects on implementation of the current global framework for disaster risk reduction, the Hyogo Framework for Action, and highlight priorities for consideration at the Third UN World Conference on Disaster Risk Reduction in Sendai, Japan, in March 2015. The other three High-Level Round Tables focuses on enhancing resilience at local levels; resilient public investments; and public-private partnerships for disaster risk reduction. A series of technical sessions around the same themes are running at the Conference in support of the political dialogue. 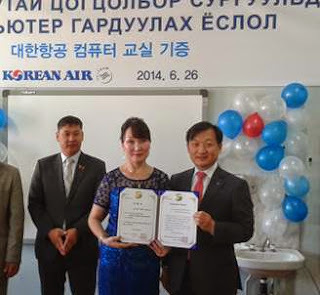 Ulaanbaatar, Mongolia, 26 June, 2014 (Korean Air) - Korean Air held a 'donation ceremony' on 26 June at Gun Galuutai Complex School nearby Baganuur, Ulaanbaatar to formallyhandover to the school thirty computers with desks and chairs. The ceremony was attended by Kim Kyu-whan, senior vice-president of Korean Air, Lee Jong-su, head of Korean Air's Ulaanbaatar office, Otgonbold, deputy head of the Baganuur District Office and Ichinkhorloo, principal of the school along with many other officials and students. Gun Galuutai Complex School has 1,800 students ranging from 1st to 12th grades. The school has experienced teaching difficulties because of the poor IT facilities. Korean Air's computer donation program started last year when it provided thirty computers for the Bolovsrol School in Mongolia. The aim of Korean Air's donation program is to enable Mongolian students to keep up with technology and learn the skills to enable them to be computer literate. Korean Air has other CSR projects in Mongolia including its 'Global Planting Project', which has seen the planting of trees in Baganuur since 2004 to help counteractdesertification, which badly affects the region; students at Gun Galuutai Complex School have also participated in this project. The Korean Air Forest in the Baganuur area, now extends to 44ha (440,000 square meters), consisting of some 83,000 trees. The airline has also employed local forestation experts who are residing in the area to manage the planted trees and educate residents on forestation. Meanwhile, Korean Air has also donated books and computers to Chinese schools in rural areas and built houses for communities in Manila and Cebu in order to fulfill its social responsibility in and out of Korea. June 27 (UB Post) The State Specialized Inspection Agency is working to ensure safety of child jockeys this year. The State Specialized Inspection Agency has issued a demand to the Federation of Mongolian Horse Racing Sport and Trainers to take several measures to ensure the safety of child jockeys this year. 1. Ensure that no child jockey participates in the race without protective gear and clothing. 2. Collaborate with labor inspectors, Confederation of Mongolian Trade Union and Children's Organizations during the horse racing. 3. To remind herders and related associations about their responsibilities in managing risks. 4. Announce to the public if the Federation of Mongolian Horse Racing Sport and Trainers and Naadam Festival Organizing Committee fails to meet standards. 5. Establishment agreement between jockeys and the Federation of Mongolian Horse Racing Sport and Trainers. 6. Ensure that no child jockey below the age of seven takes part in the race. Ulaanbaatar, June 27 (MONTSAME) The UK Alumni in Mongolia (UKAiM) association continues to grow following its launch in September 2013. A number of members has now reached 200, including 15 Chevening scholars. The association's main aim is to promote UK education and culture in Mongolia through various events and social activities. A recent example of this was a breakfast reception during Hugo Swire's official visit to Mongolia (this May 21-22). In his speech to the group, Mr Swire noted an importance of the Chevening scholarships scheme. He said that all British alumni around the world are a part of the UK's extended family and encouraged the gathered to maintain their links with the United Kingdom. Having graduated from Manchester, Leeds, Cardiff, Edinburgh, Birmingham and the University of London, the alumni have been working here in many spheres, including sciences, innovation, engineering, law and finance. June 24 (CNN) A rush for natural resources like coal, gold and copper has filled pockets in Mongolia, one of the fastest-growing economies in the world. But the country is also facing rising inequalities, especially in its capital, Ulaanbaatar. Sven Zellner, a German photographer and cinematographer who has worked in Mongolia since 2004, explores the effects of the city's newfound wealth in "Mongolian Disco." For his past projects, Zellner stayed mostly in the Gobi desert, photographing nomads, wrestlers and illegal gold miners. During his time in the capital, he said, "I realized that it was changing very fast," as Mongolia moved from a nomadic to urbanized society, from sleepy streets to traffic jams. In his photos, which have been exhibited in Germany, Zellner captures the city's dizzying transformation and social divides. He documents Ulaanbaatar's new status symbols: shiny glass towers, glitzy clubs and luxury cars. "People like to drive a big, four-wheel drive Lexus," he said. Even the country's parliament house has received a lavish new facade. Clothing is also in flux. When Zellner first arrived in Ulaanbaatar, home to half of Mongolia's population, 10 years ago, "there were many more people in traditional clothes," he said. "And now it's much more mixed, more metropolitan. People look at Western styles and copy that, and also at Korean and Japanese styles and copy that." The subjects Zellner photographed were suspicious of him at first, and he was initially kicked out of clubs for trying to take pictures. But with persistence, people began to open up — even inviting him into their Lexuses. "You have to get to know them first and drink some beers with them, and then next time you see them, you can start taking photos," he said. While Zellner started by focusing on the upper class, he soon turned to the other side of Ulaanbaatar. More than half of the city's 1.3 million people live in ger districts —shantytowns of traditional felt tents. These impoverished areas lack running water, sanitation, central heating and other basic infrastructure. Residents of the ger districts, like a man dragging cartons of water from the city's river, are a world away from the clubgoers and models Zellner also depicts. But connections are there. A woman Zellner met at a disco introduced him to the young shaman featured in one of his most powerful portraits. Mongolian shamans, who were forbidden under Soviet rule, claim supernatural powers and offer advice — for a fee. "It's kind of a business," Zellner said. A desire for traditional spiritual guidance even among the new elite shows how dislocating the changes in Ulaanbaatar are, Zellner said. He thinks the Ulaanbaataris in his photos "don't know where they really belong." "It's a city in search of an identity," he said. June 27 (UB Post) It is impossible to have missed the fervor surrounding the FIFA World Cup in Mongolia, however this is not simply a one-off frenzy. From the numbers of young people sporting Manchester United jerseys around Ulaanbaatar, to the growing memberships of Mongolian fan clubs of Bayern Munich or Chelsea, it is clear that football is a growing cultural influence on the lives of many Mongolians. Football leagues from across the world, but predominantly European leagues such as Spain's La Liga, England's Premier League, and Germany's Bundesliga, have a substantial and rapidly growing Mongolian fan base. Over 7,400 people like the Mongolian Chelsea FC Fans page on Facebook, which claims to be the country's largest fan club, while nearly 4,000 Mongolians like a page for Manchester United supporters, and Real Madrid FC Mongolia boasts over 5,000 fans. The extent of these fans' allegiance is substantial: for them, 3 a.m. trips to the pub to watch a game is not just a novelty experience every four years, but a way of life. T.Zorigtsaikhan, a member of the Mongolian fan club for Italian side AC Milan, describes how dozens of fellow fans meet "mostly every weekend" to watch live games during the club season. "Most of the games are [at] 3:45 in the morning, and most of them are on Sunday, so in the morning you are screwed!" Zorigtsaikhan talks with pride about the AC Milan football jerseys that he owns, and praises the history and the culture of sporting loyalty of his adopted club. His dedication is not unique; more than 50 Mongolian football fans travelled to China in 2011 with the local AC Milan and Inter Milan fan clubs when the two teams played for the Super Cup in Beijing. For many Mongolians, it seems, "football fever" is not a temporary malaise during the World Cup, but a life-long affliction. The story of how Mongolians came to acquire such strong passions for a particular football club several thousand kilometers away is unique and touching. In many cases, children were bought a team jersey by their parents when Chinese-made football shirts flooded the clothing market in the early 2000s. As soon as they were old enough to read the name Beckham, Ronaldo, or Kaká on their back, their allegiances were set. According to Zorigtsaikhan, Mongolian football fever started during the 2002 FIFA World Cup, which was held jointly by Japan and South Korea. The excitement surrounding Asia's first hosting of the World Cup swept the continent, and watching football on television became "fashionable" for all Mongolians, whereas it had previously been simply an indulgence of those already involved in playing the sport locally. However, the remarkable fact is that this widespread support was maintained after the World Cup left Asia and live matches returned to unsociable hours in the middle of the night. The mass appeal of this year's World Cup in Brazil will no doubt boost the popular reach of football once again, and if the example from 2002 is anything to go by, then this groundswell of interest will be sustained in the future. Football's popularity is not confined to Ulaanbaatar's cosmopolitan population. The Football Fans in Dornod Facebook group has 350 active members who meet up regularly to watch games together, as well as playing the sport themselves and organizing games for youngsters. Sh.Urgoo, a secondary school teacher who manages the organization, suggests that football is increasingly important in young children's lives, who play at school, and talk about their favorite players and teams in English language lessons. Targeting children has been a major policy of the Mongolian Football Federation (MFF), whose grassroots program has sought to promote football through physical education at schools. Their project to build artificial pitches, train coaches, and organize competitions at schools has so far covered seven of Mongolia's 21 provinces. When complete, they hope to have introduced 200,000 children to football in over 800 secondary schools. Additionally, the MFF has been organizing a grassroots coaching session at the National Stadium every Children's Day since 2002, the latest of which reached maximum capacity attendance of 300 people. D.Ganbat, general secretary of the MFF, suggests that, as these children grow older, there will also naturally evolve opportunities for young adults to play, to increase the size and competitiveness of Mongolia's national amateur and semi-professional leagues. However, Zorigtsaikhan, who—in addition to being an AC Milan fan—plays as a goalkeeper at the amateur Oasis Football Club, suggests that these programs are long overdue, claiming that there are still not enough opportunities for young adults who demonstrate their love of football by supporting European teams to play themselves. Zorigtsaikhan argues that this is largely due to the poor condition of fields across the country, although the artificial pitches being built in conjunction with the MFF are slowly solving this problem, rejuvenating the country's crumbling sports infrastructure. The appeal of football to Mongolians, therefore, seems to precede interest in getting out on the pitch themselves. Both Zorigtsaikhan and D.Ganbat emphasize how football's increasing popularity comes from the social dimension of being able to watch, enjoy, and discuss games with their friends. There is substantial opportunity to translate this widespread passion into mass-participation sport—an opportunity that is, slowly but surely, being taken. 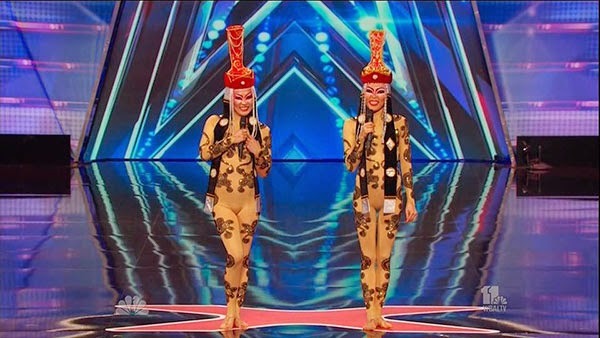 June 27 (UB Post) America's Got Talent reality television series' season nine is taking place in Las Vegas, USA currently. 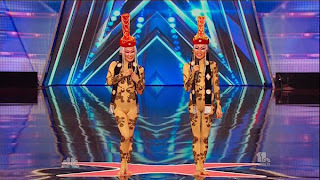 Mongolian contortionist sister G.Erdenesuvd and G.Buyankhishig are participating in the show. The sisters have been working in America for 12 years. In the first round of the show, judges admired their flexibility and unique contortion performance, and passed them to the next round. On June 25, Unuudur newspaper spoke to G.Erdenesuvd about the show and their performance. I saw a video of your performance on YouTube and it was amazing. Thank you for showing the world what Mongolian contortionism is. Thank you. The audiences accepted us well. It was great that we were announced as "Mongolian gorgeous women" on stage. When was the last time you came to Mongolia? It has been ten years. I go to Mongolia in August and will be kissed by my mom and grandmother. My grandmother asks me always "When will you come back?". I can't wait to go back to Mongolia. We have a contract with Cirque Dream Show. This show travels around the USA to perform. Which state do you live? We live in Orlando city of Florida State. We have settled here since 2006. But we did not stay at home for a long time until 2011. We stayed at home two weeks a year. Now our job is quite flexible. Why did you decide to participate in America's Got Talent? It was a chance to promote Mongolian contortionism to the world. There is picture of you and your sister teaching contortionism on Facebook. Do you teach contortionism to foreigners? Yes, we do. We teach contortionism on our free time. We taught contortionism to 10 Mongolian girls. Now they are working in various circuses and theaters in the USA. Do you perform aerial silk performances? Our performance is called, "Aerial Sphere". Audiences like it. Previously we performed one called "Four aerial cube". Aerial silk is different from contortionism. Five girls of the above mentioned 10 girls performed aerial silk performances with us before. Are you connected with Mongolian contortionists and teachers? Yes. We are connected with our first teacher D.Majigsuren and State Honored Artist and contortionist B.Norovsambuu.